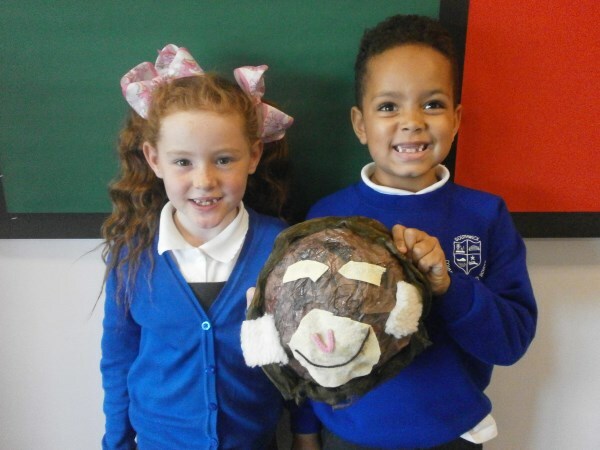 Year 1 received a letter from the 3 Billy Goats Gruff asking for our help! 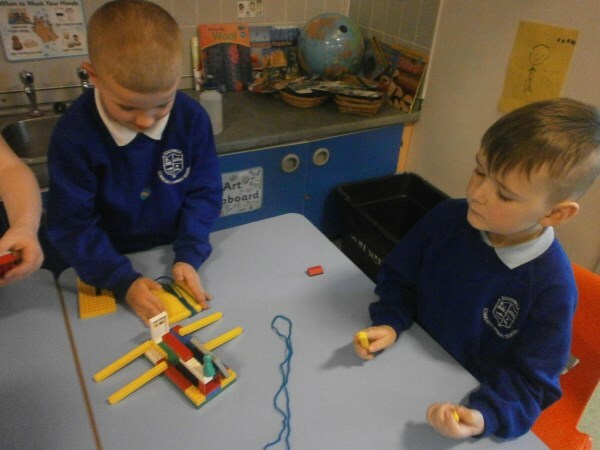 The nasty troll has broken the bridge so we need to help the billy goats cross the river another way. 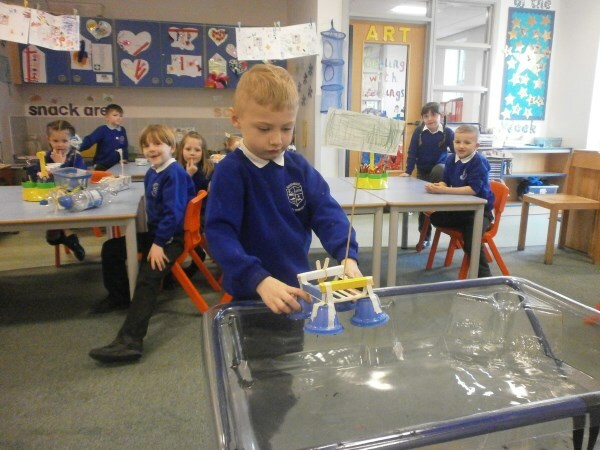 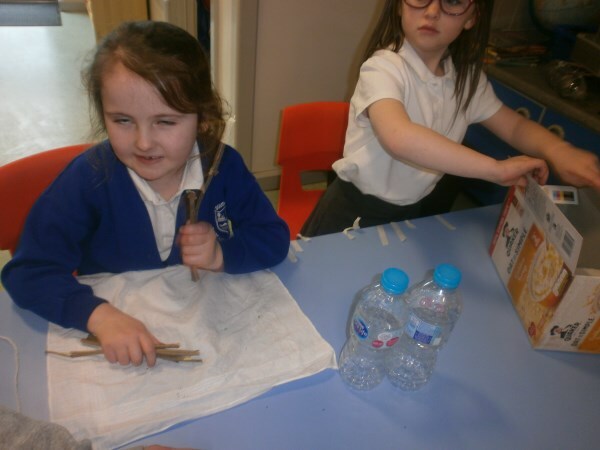 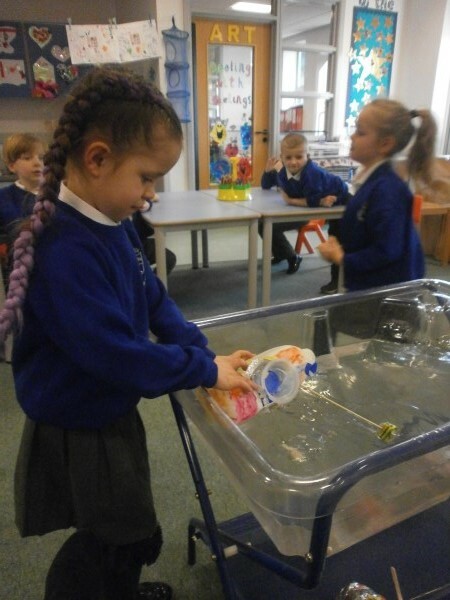 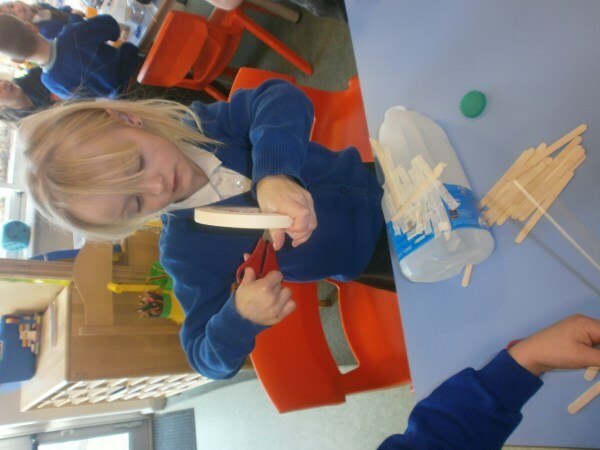 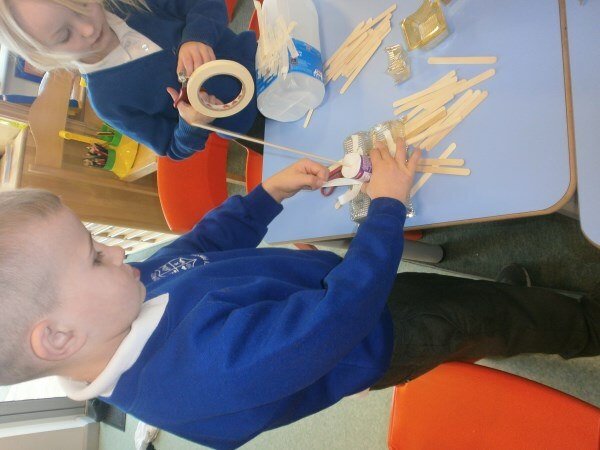 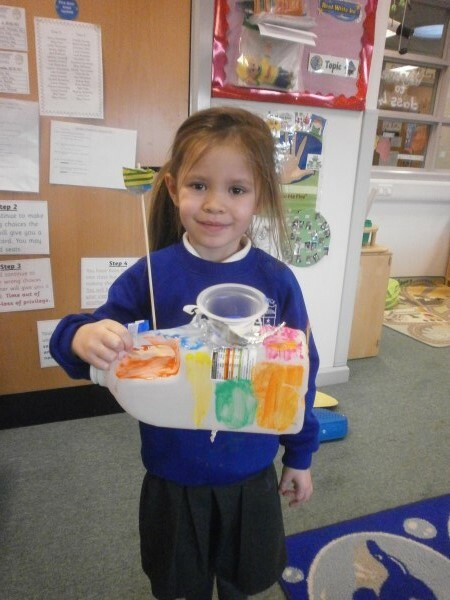 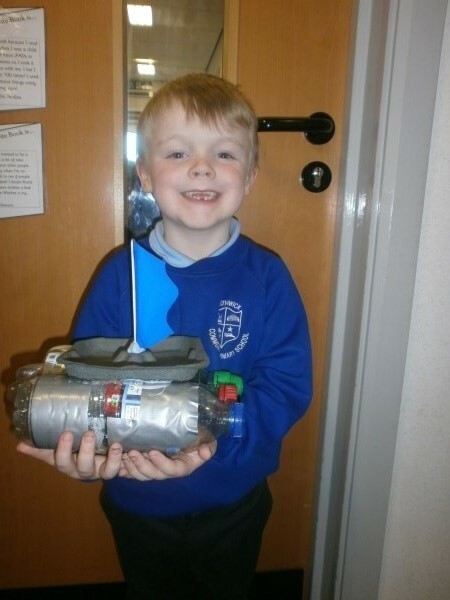 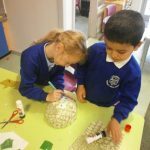 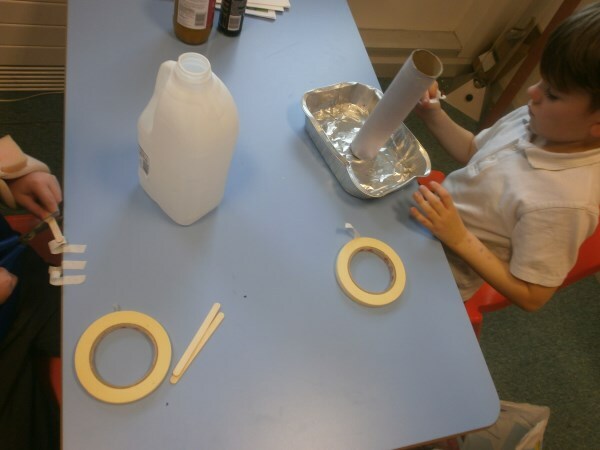 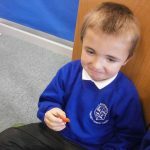 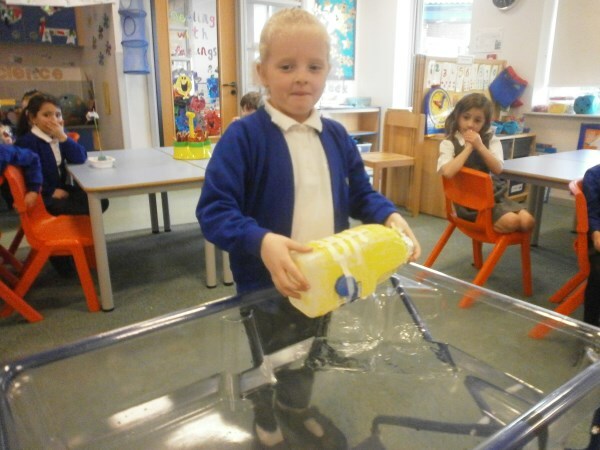 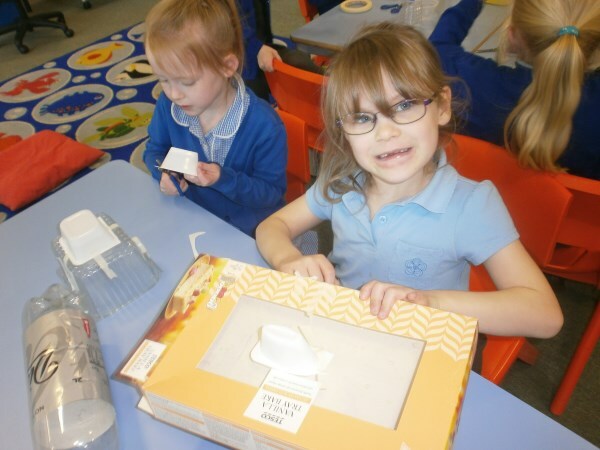 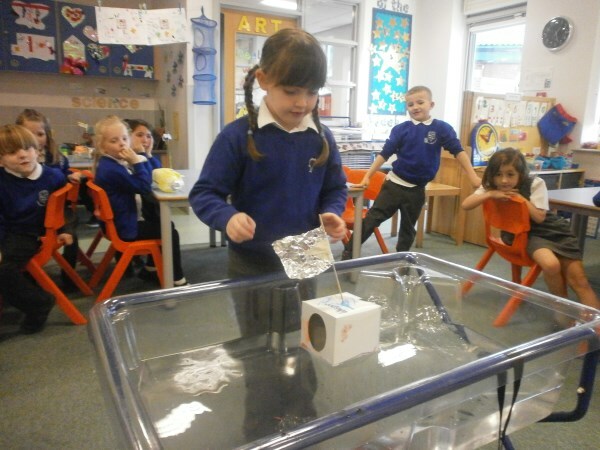 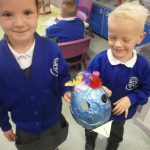 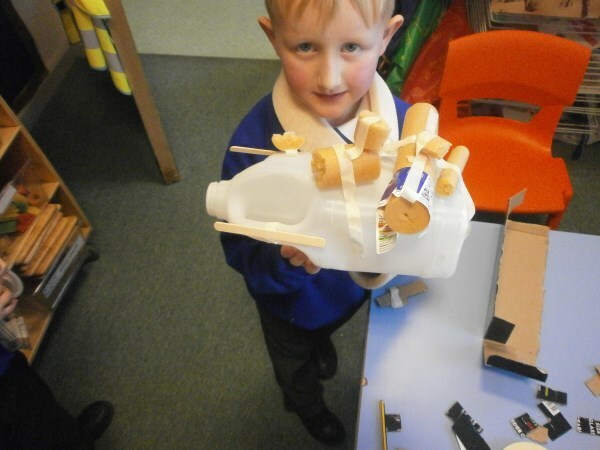 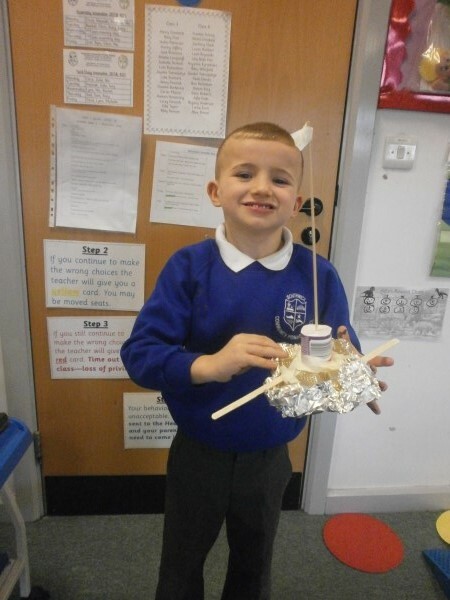 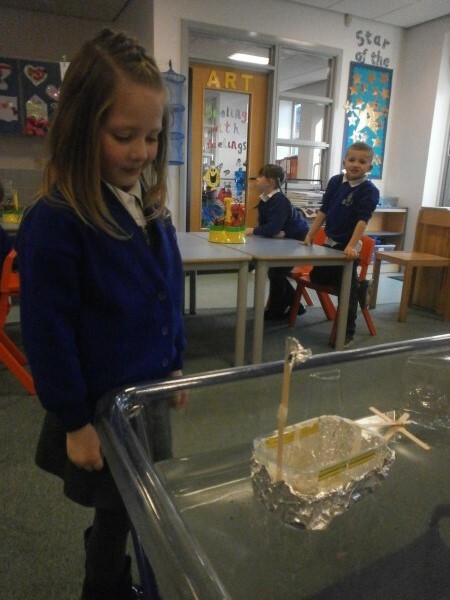 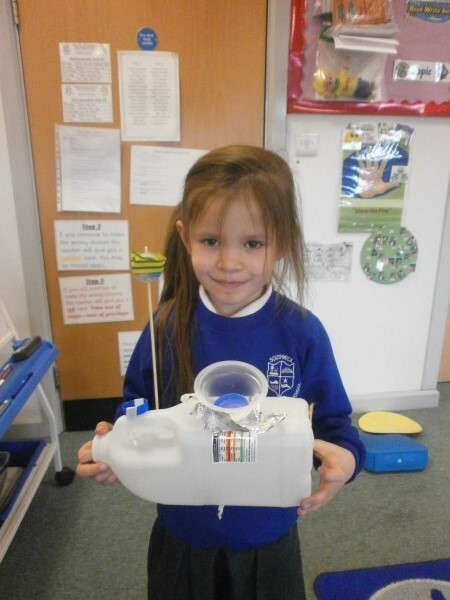 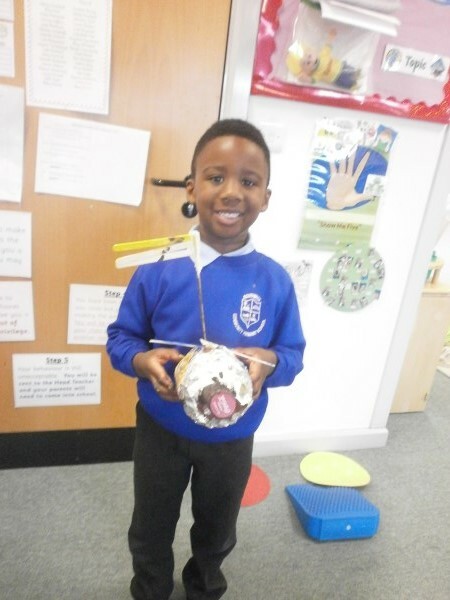 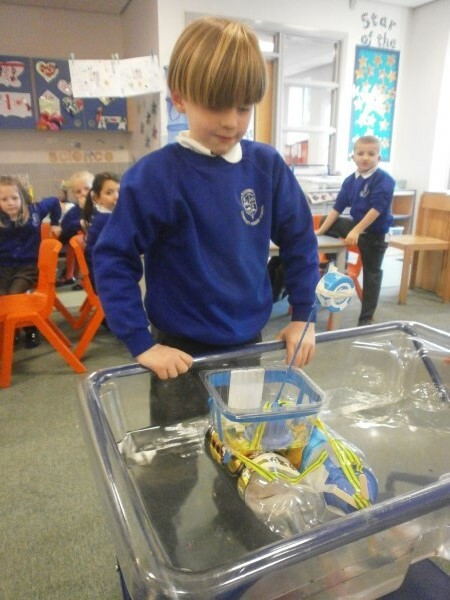 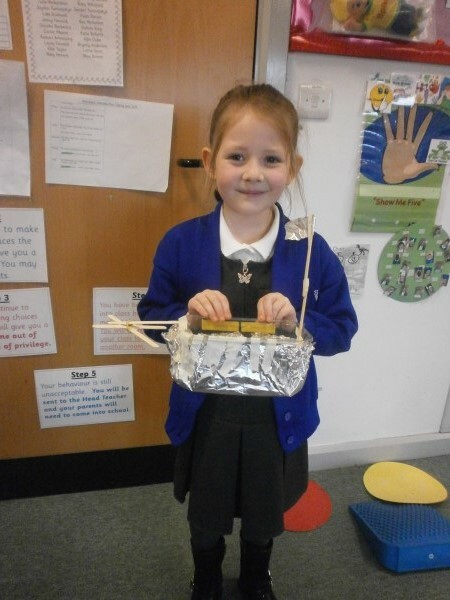 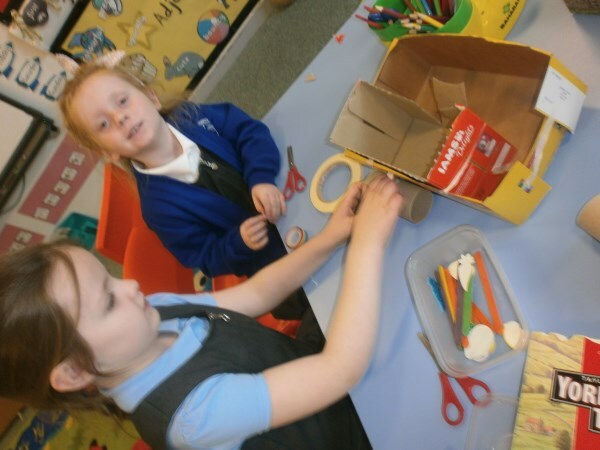 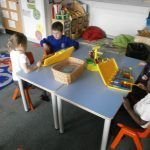 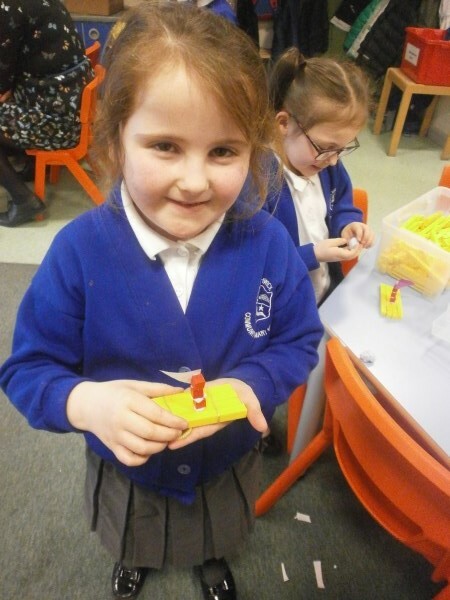 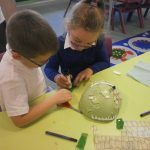 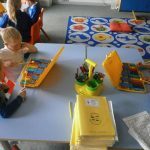 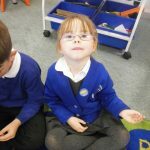 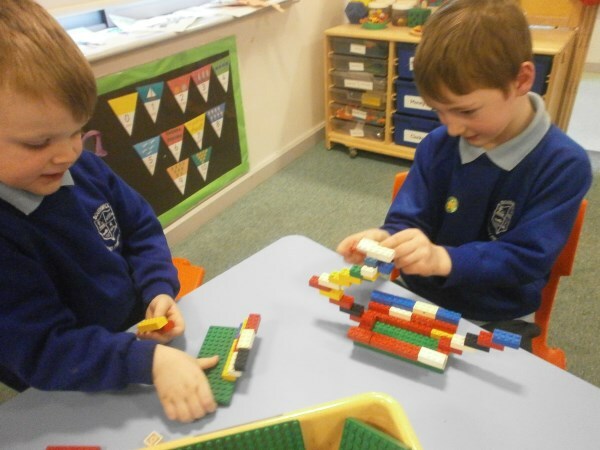 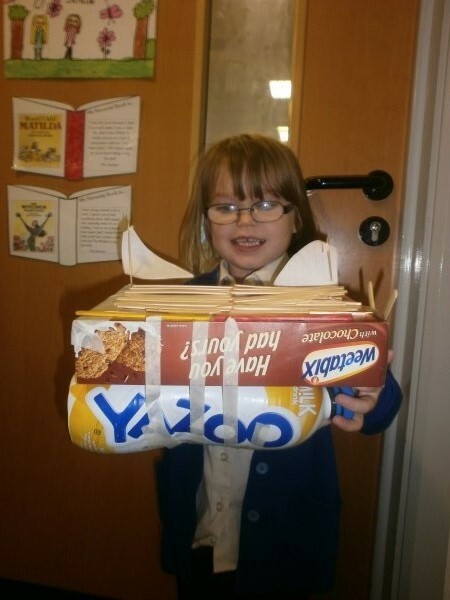 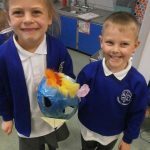 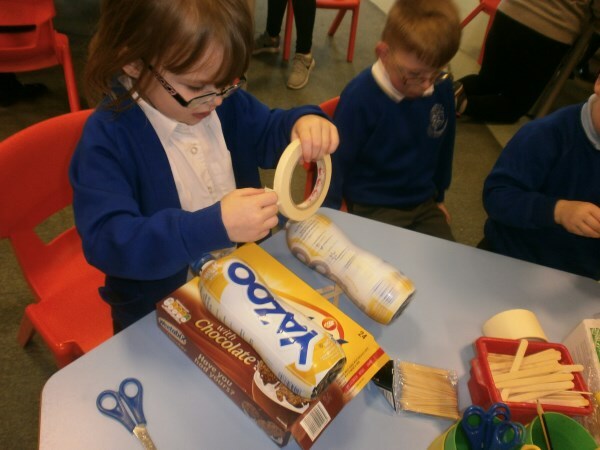 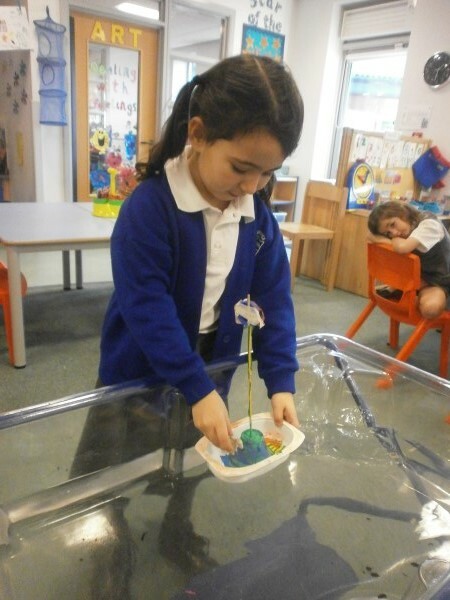 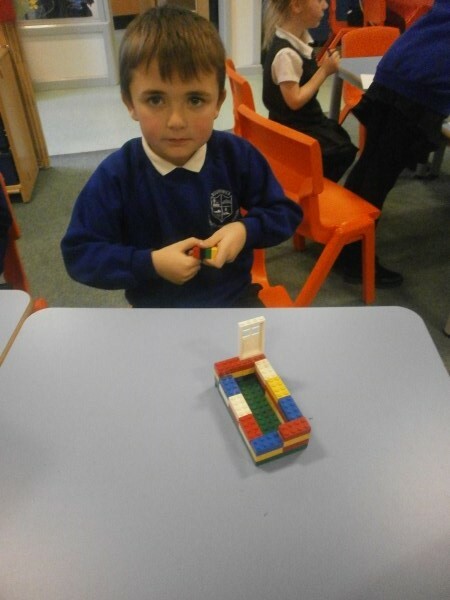 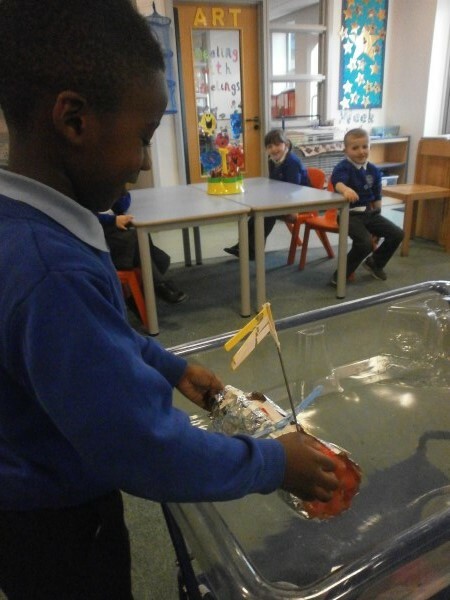 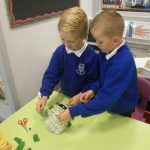 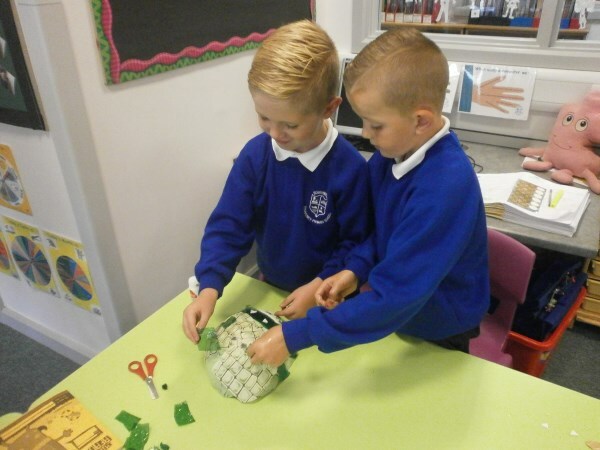 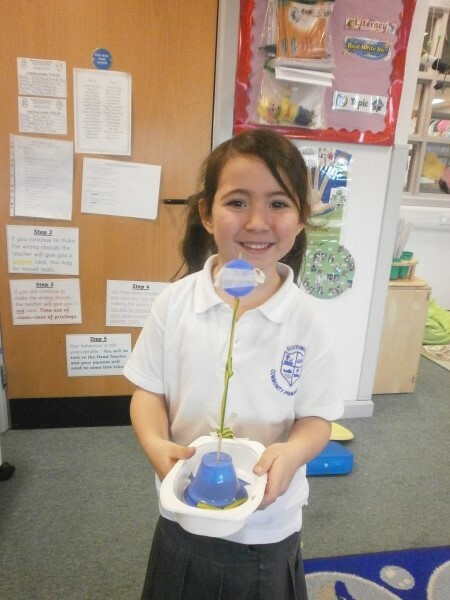 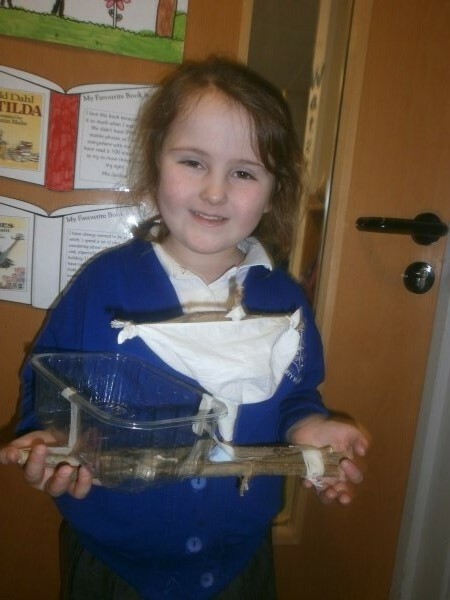 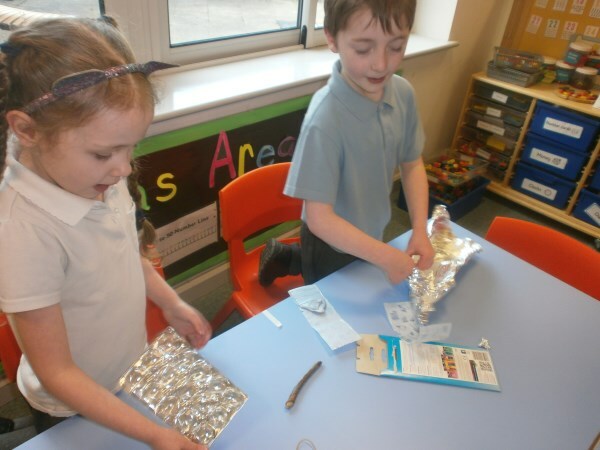 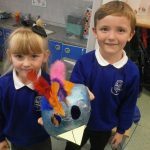 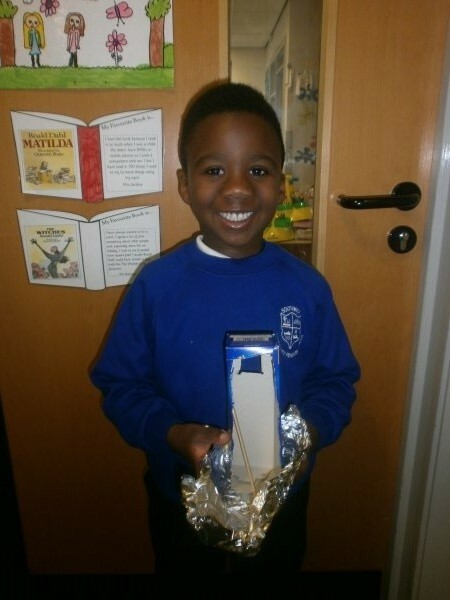 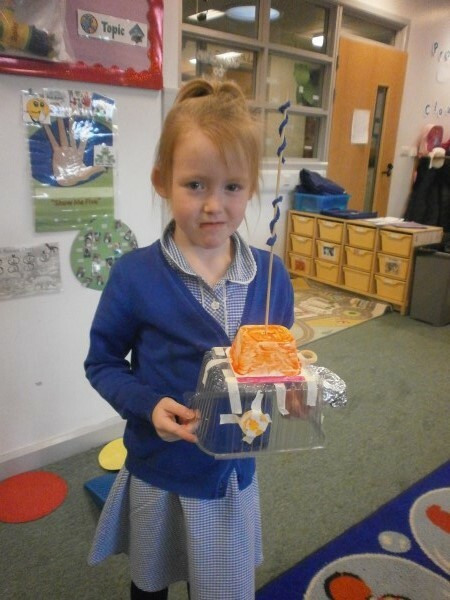 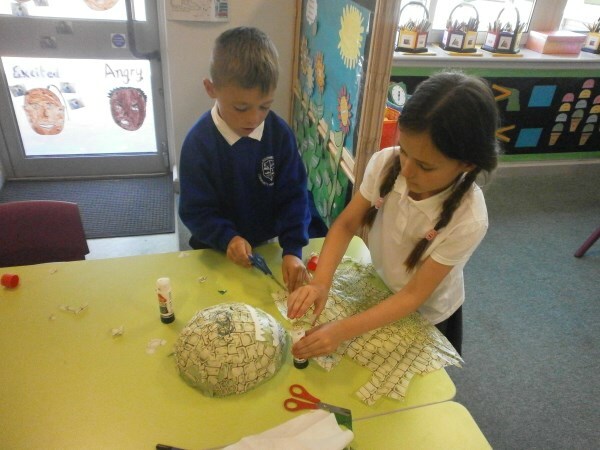 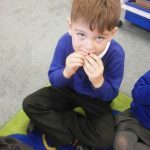 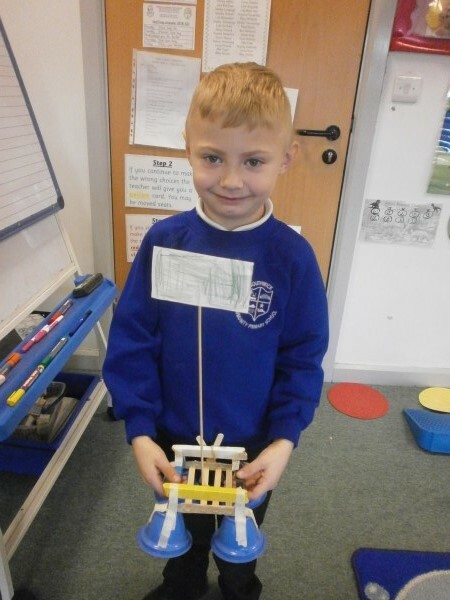 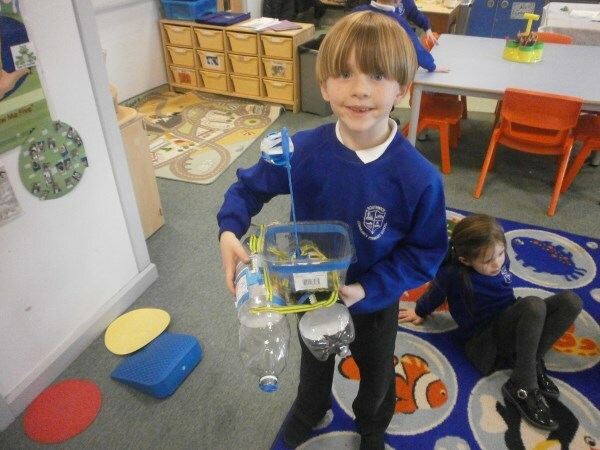 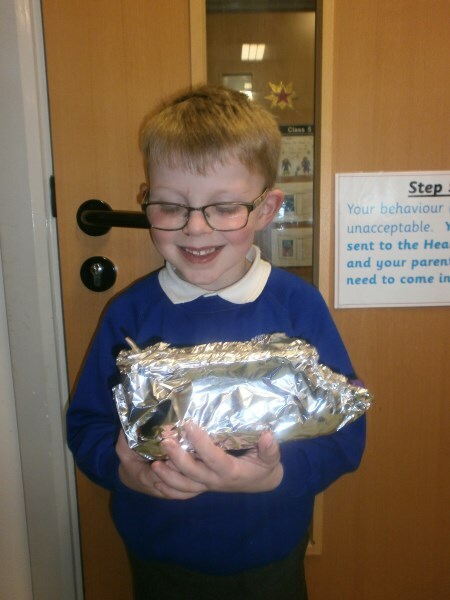 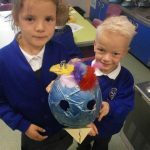 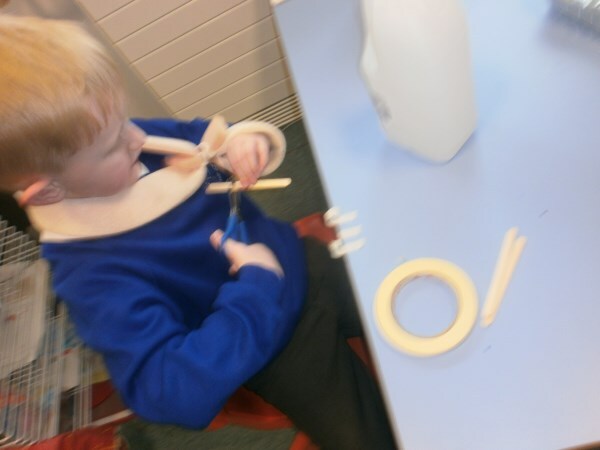 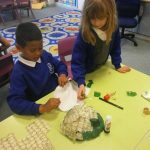 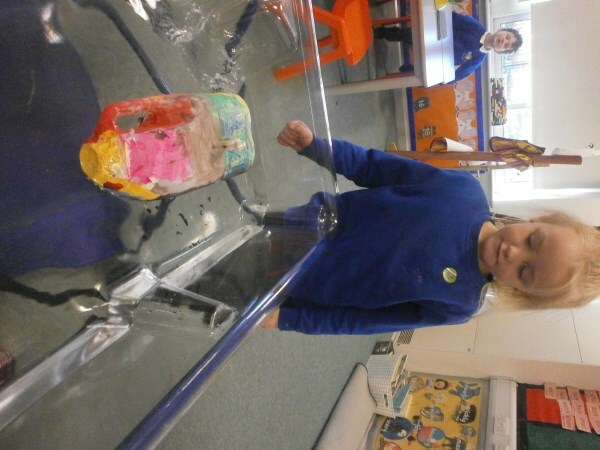 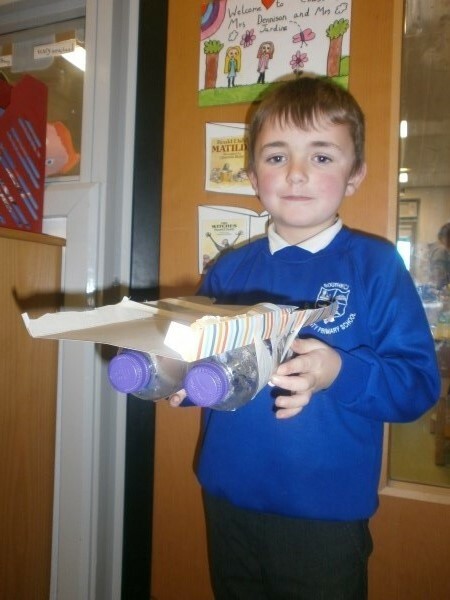 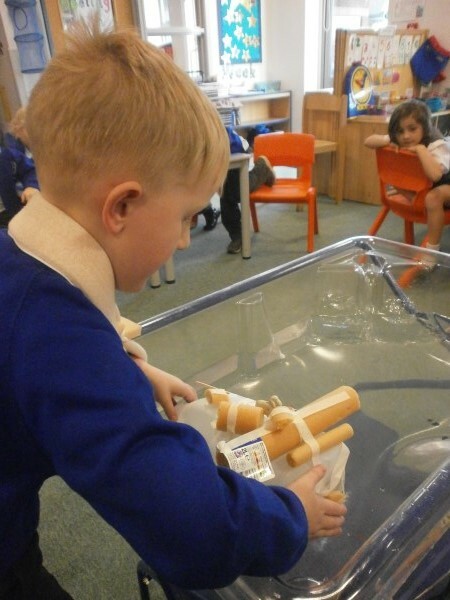 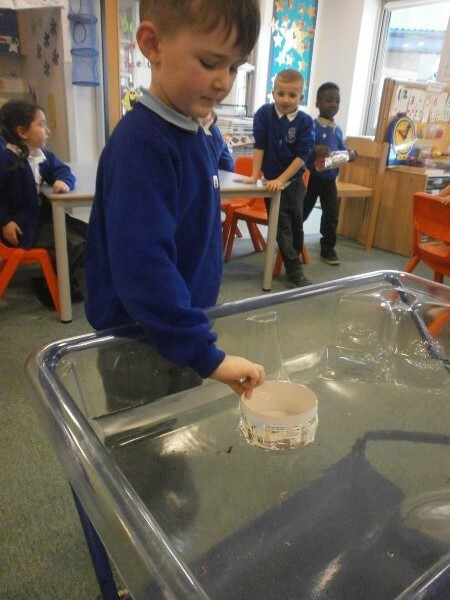 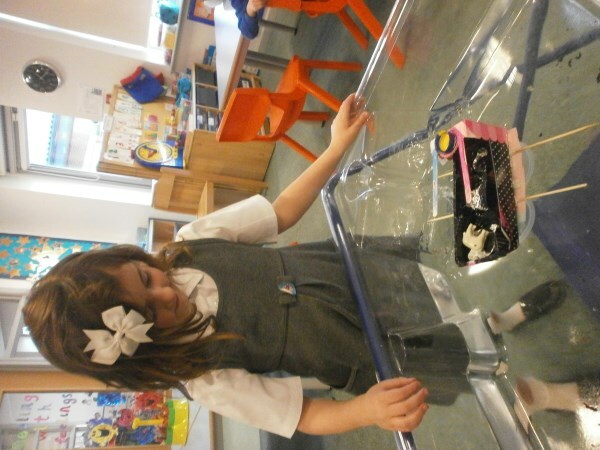 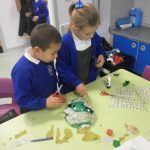 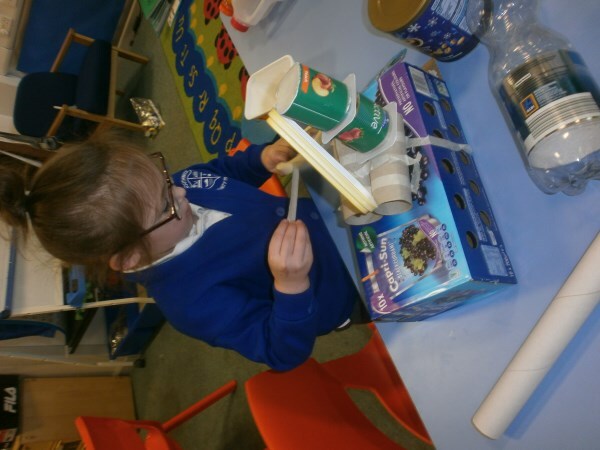 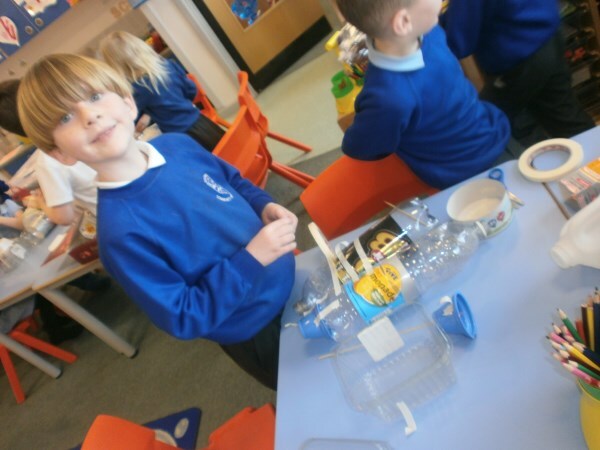 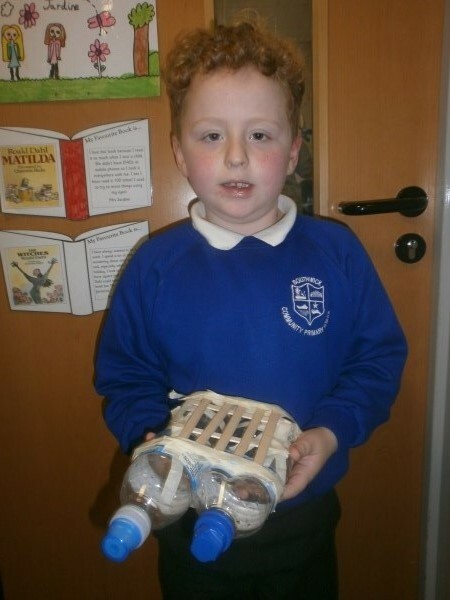 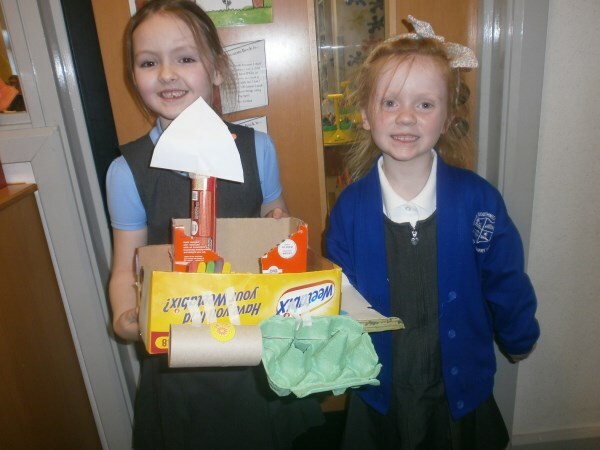 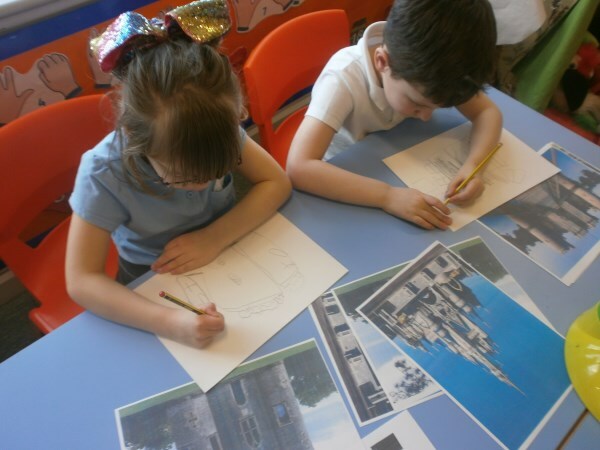 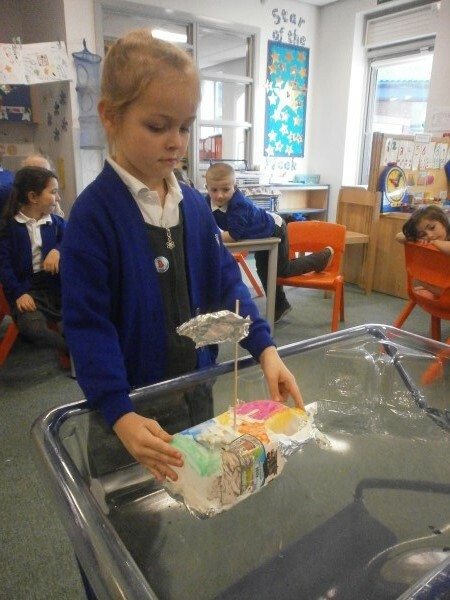 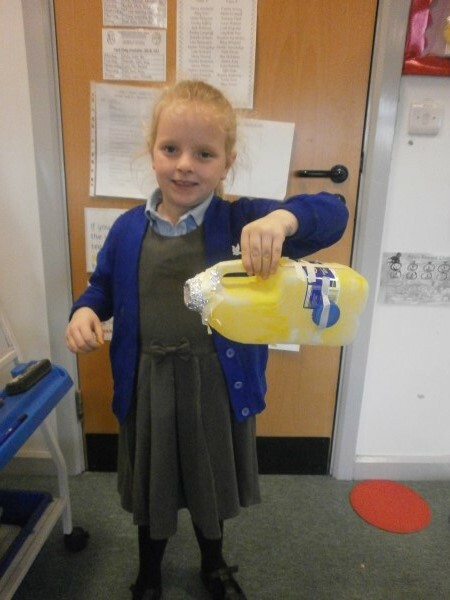 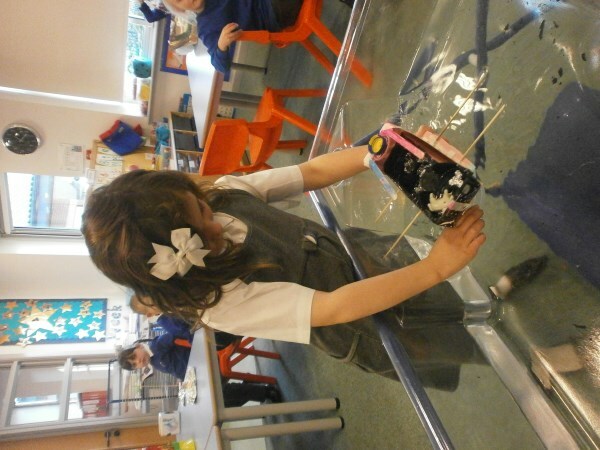 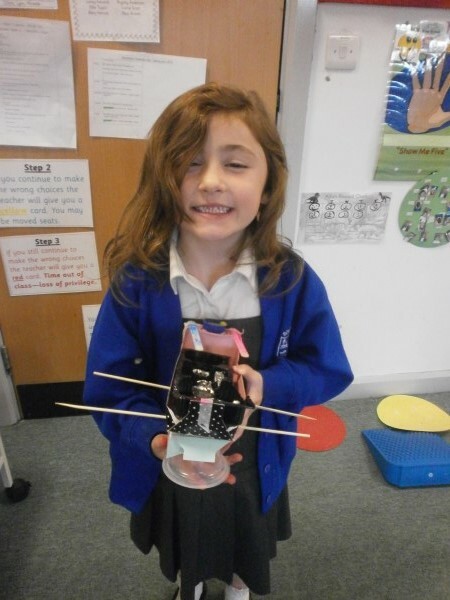 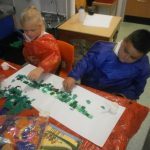 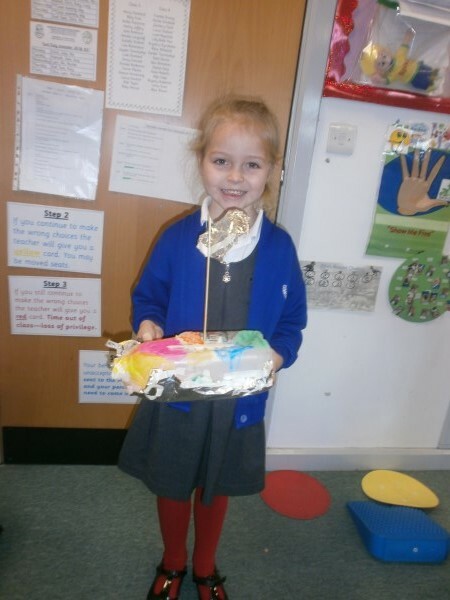 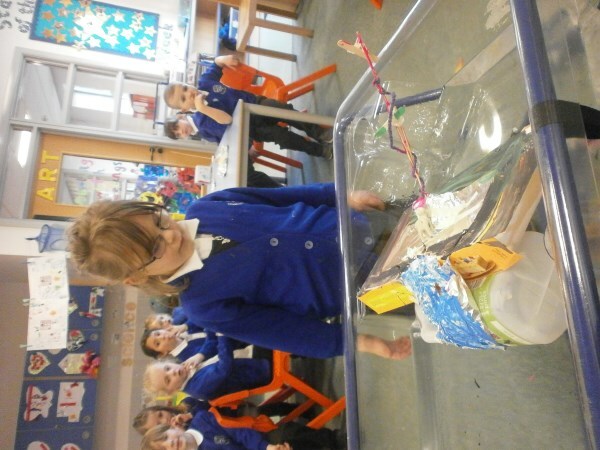 We investigated materials and designed our own boats.We made them with lots of thought, care and determination and here are some amazing photos of our journey. 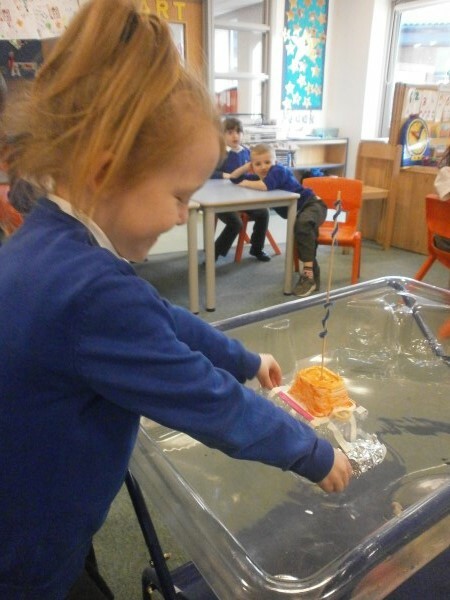 Lots of boats were waterproof and successfully floated in the water. 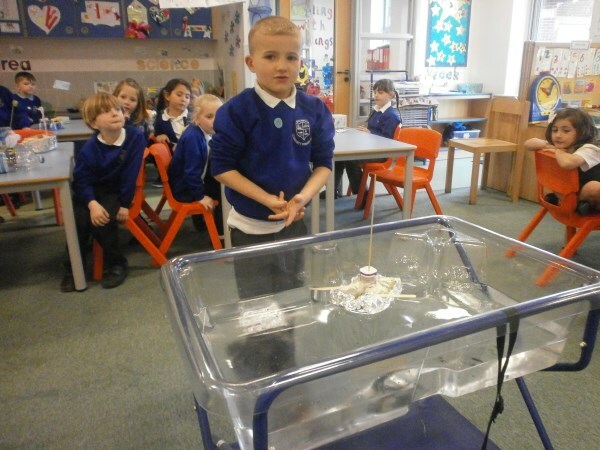 Some were not waterproof and let the water in. 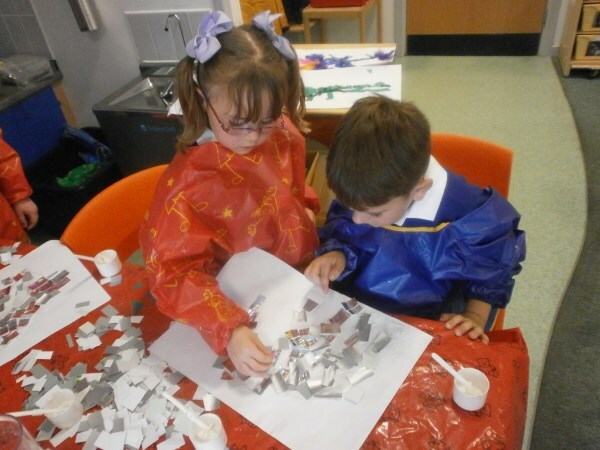 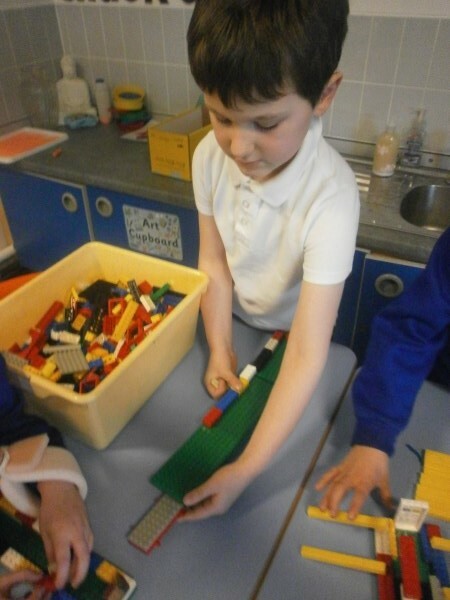 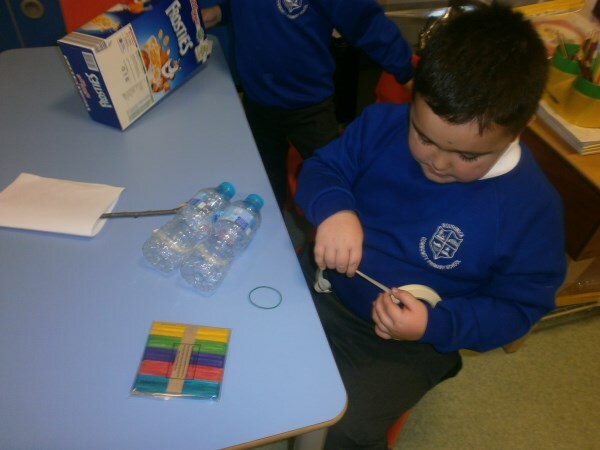 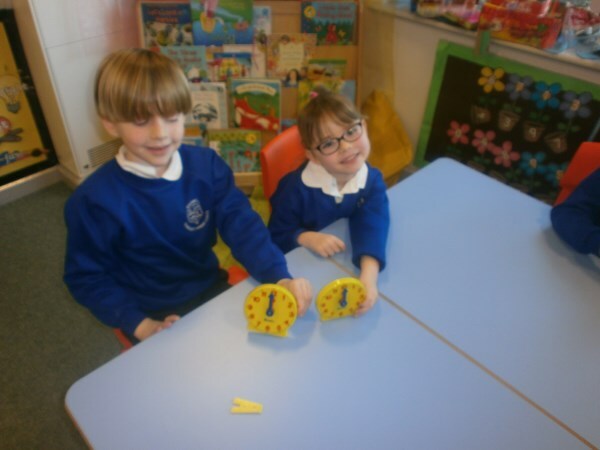 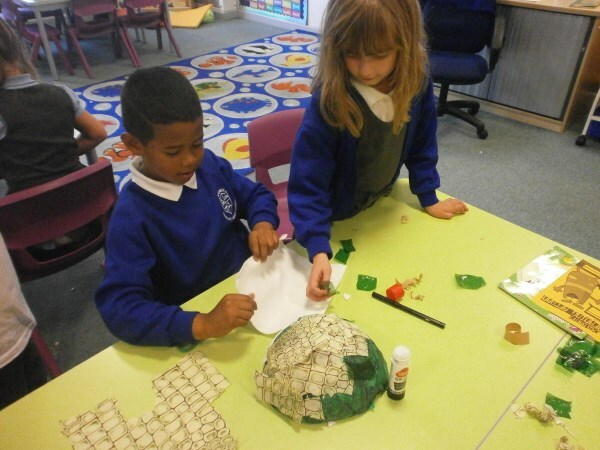 We had so much fun and have learnt lots about materials. 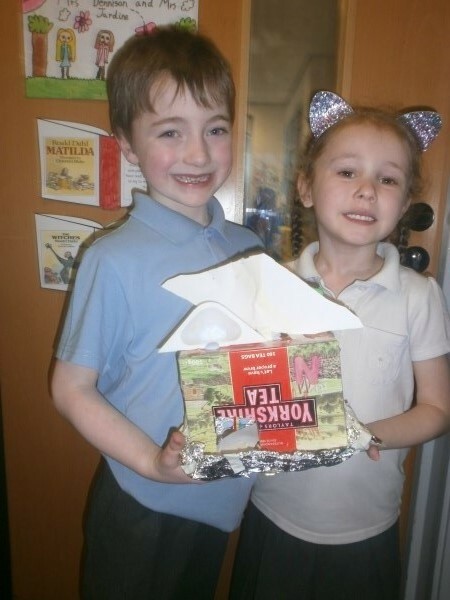 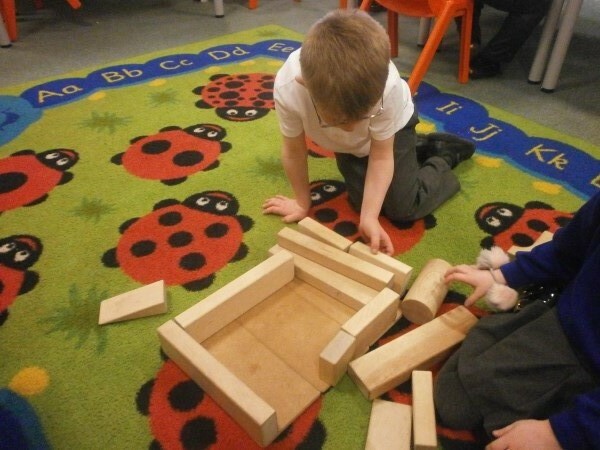 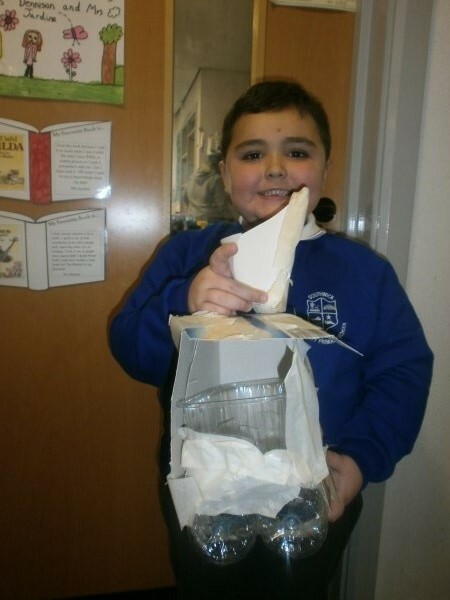 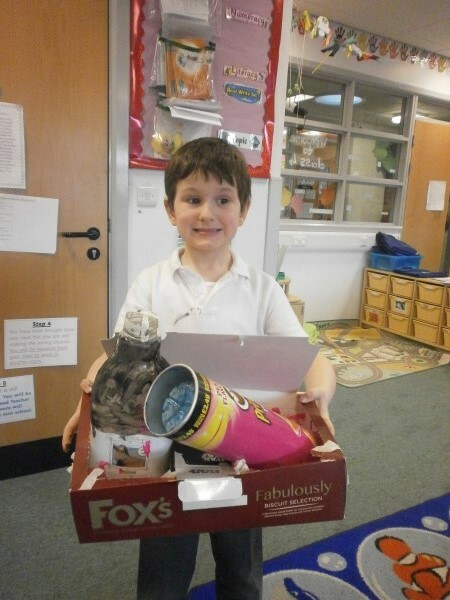 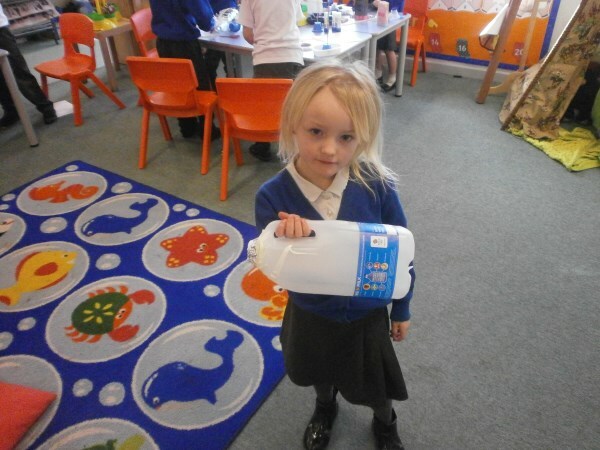 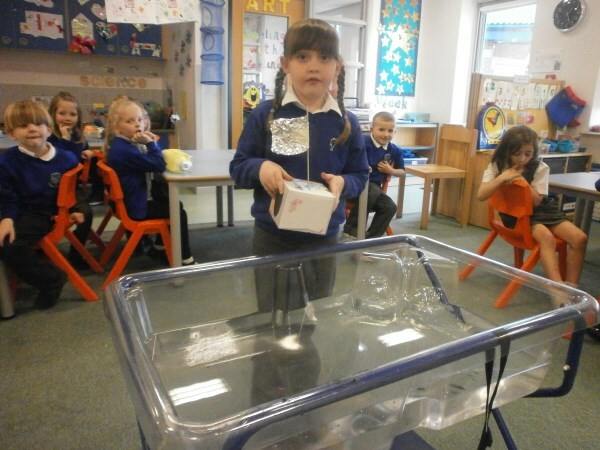 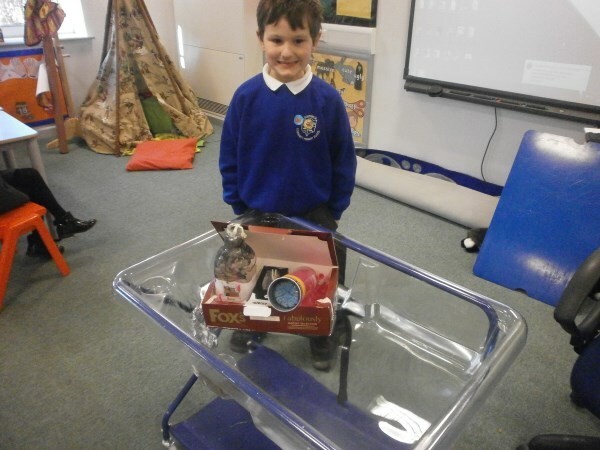 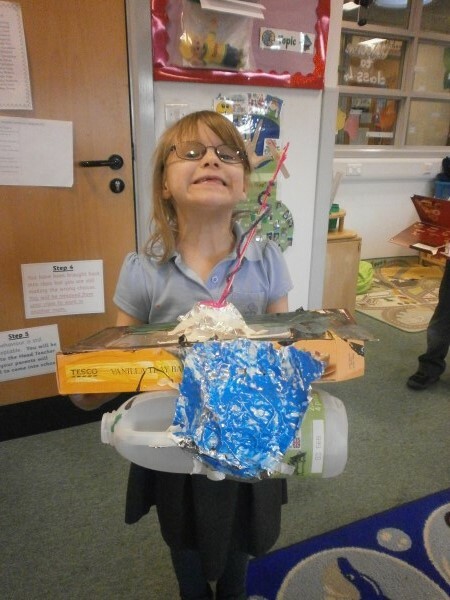 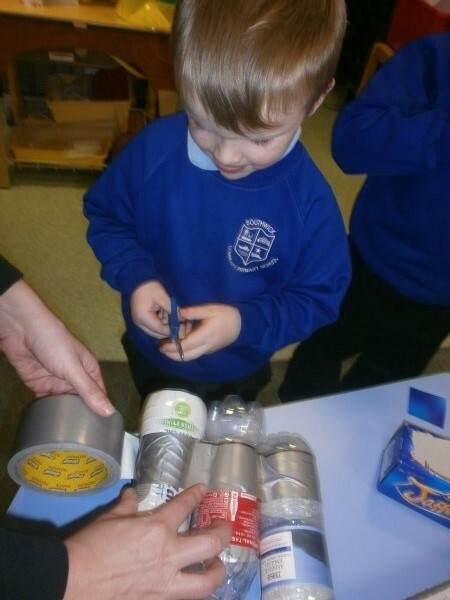 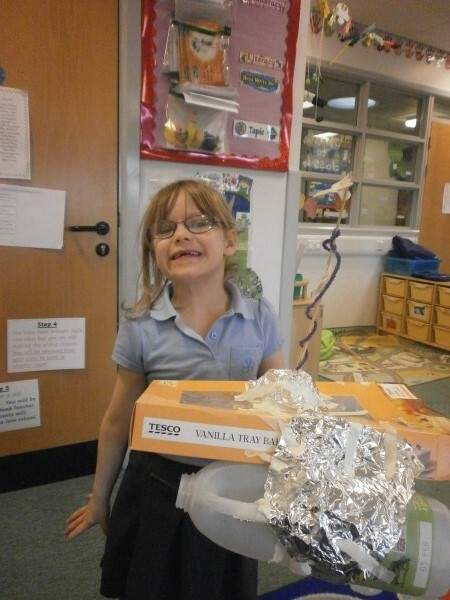 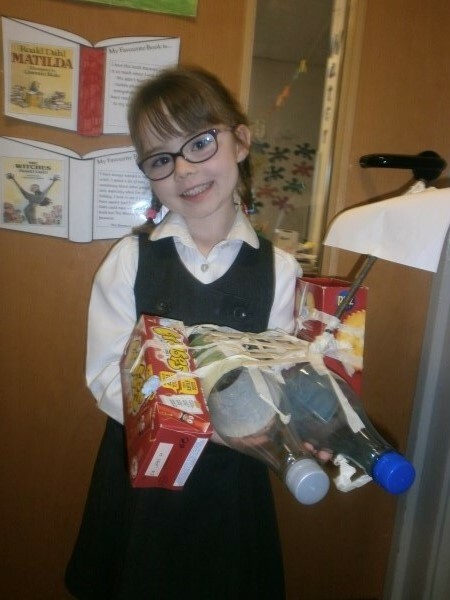 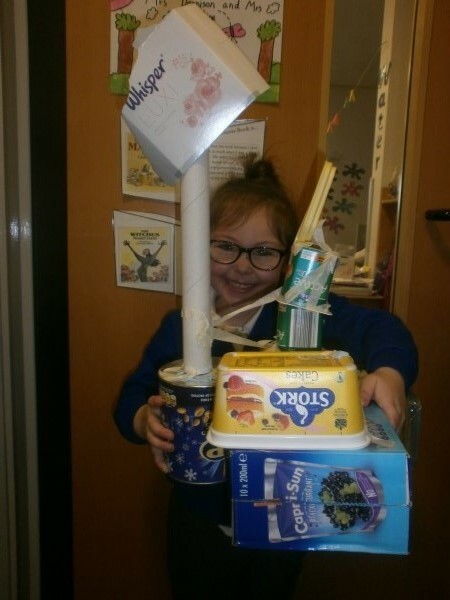 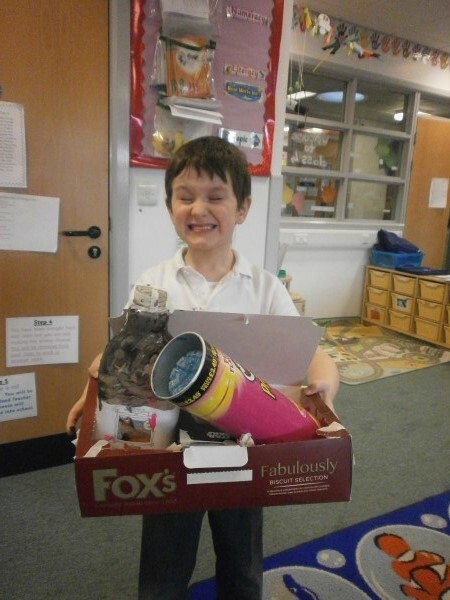 A huge thank you to everyone who supplied the boxes, bottles and all the materials we used to make them. 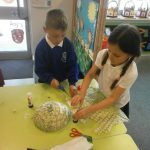 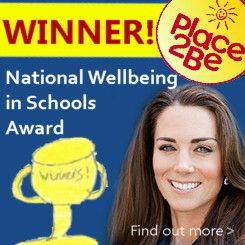 It is so appreciated! 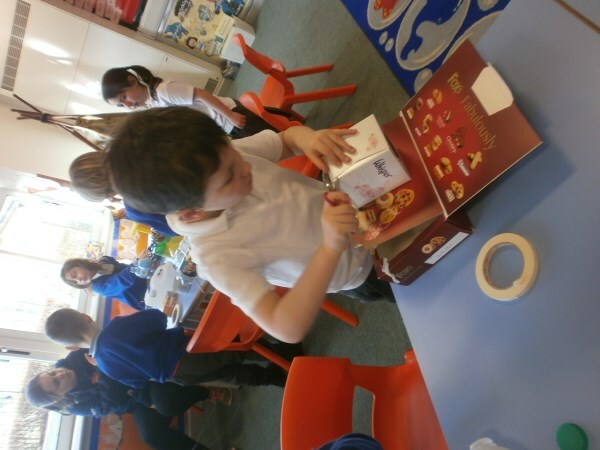 Today we had an extremely festive day creating so many crafts and delicious treats for our annual Christmas fayre. 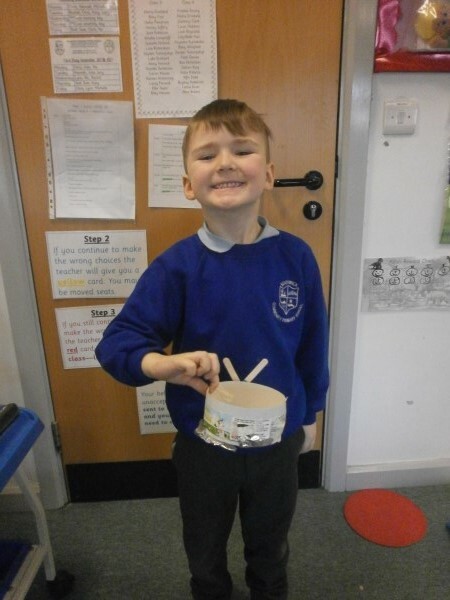 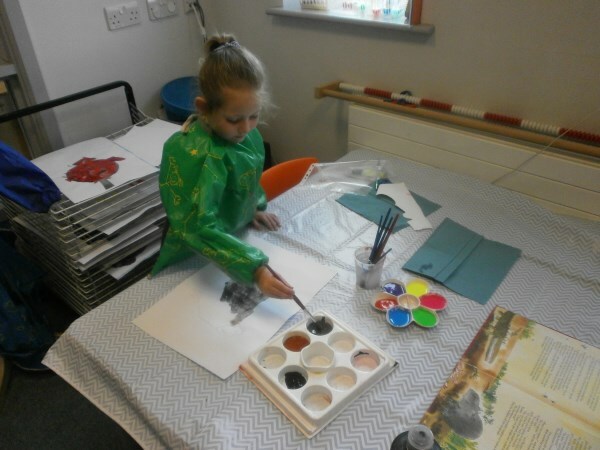 We worked in classes to create signs and posters promoting our Key Stage 1 stand and created Christmas pudding crispy cakes as well as melted snowman biscuits. 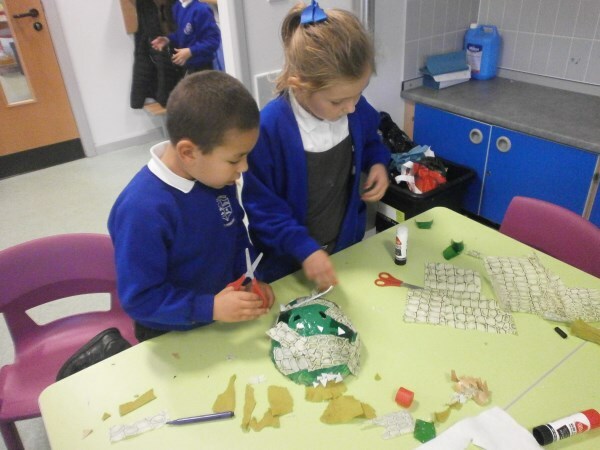 We had so much fun and can’t wait to see all of our hard work on display at the Christmas fayre tomorrow. 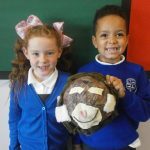 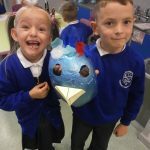 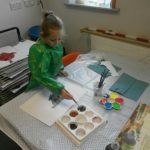 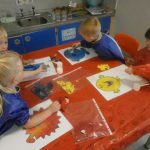 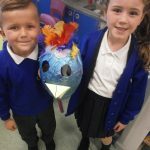 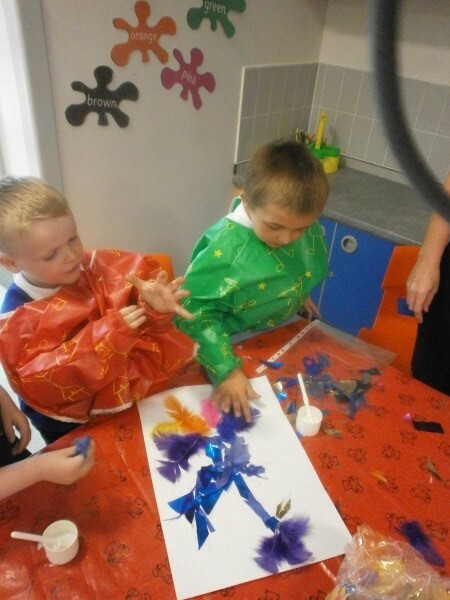 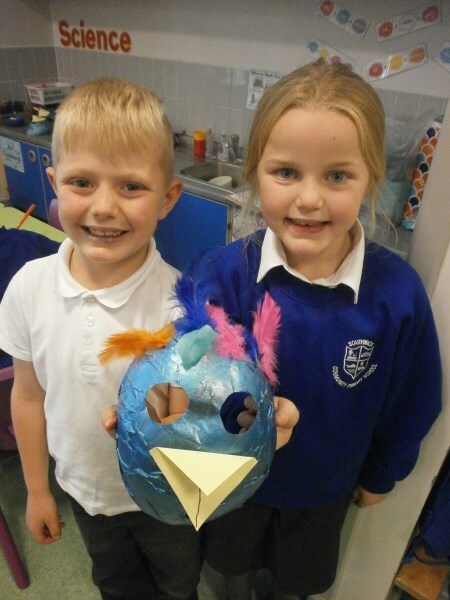 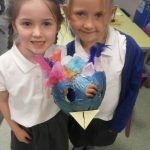 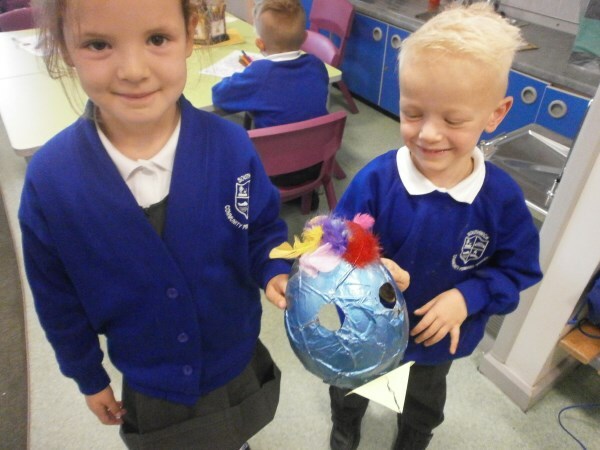 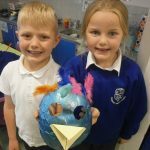 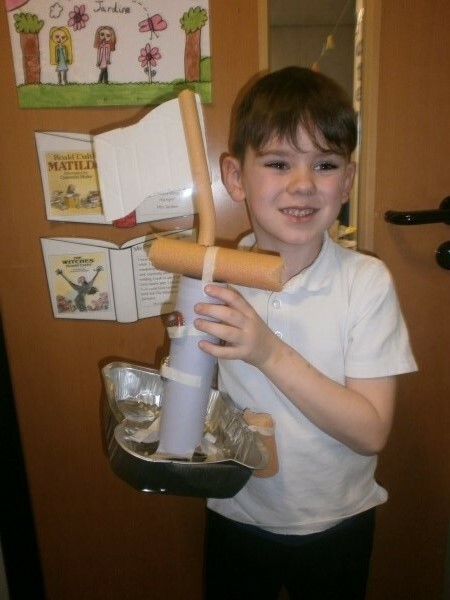 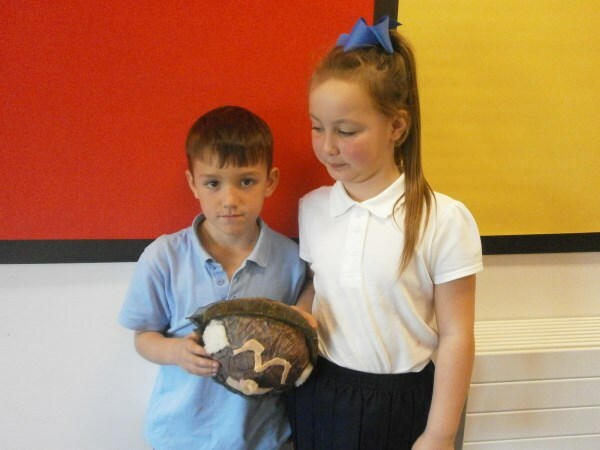 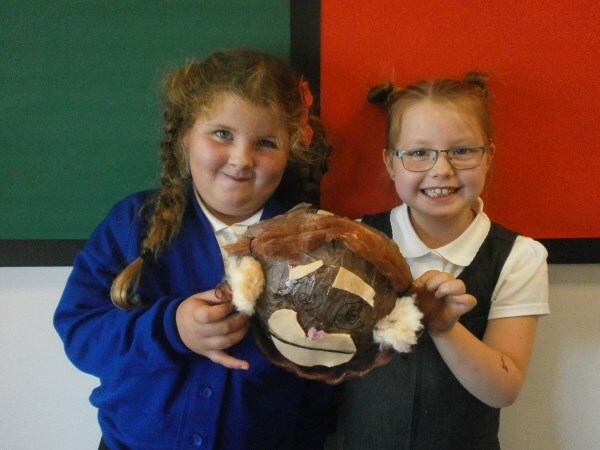 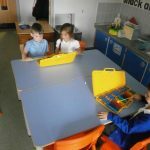 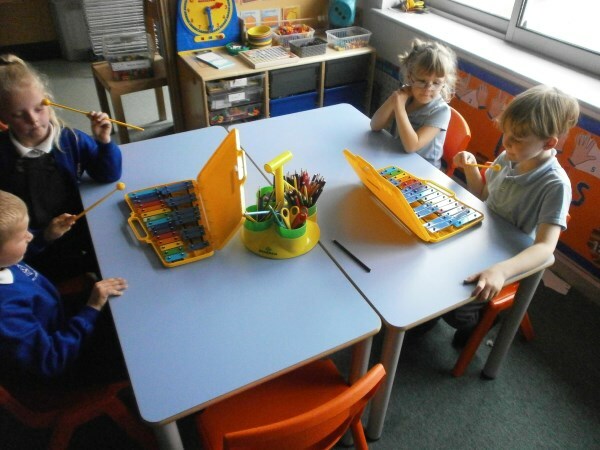 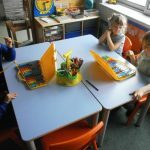 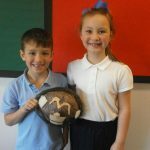 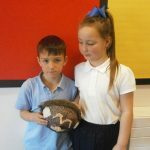 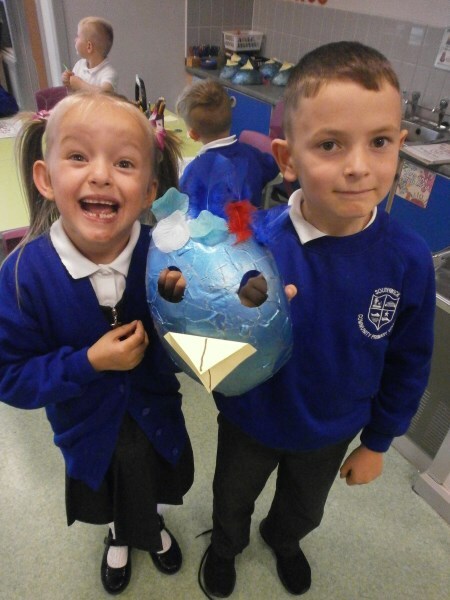 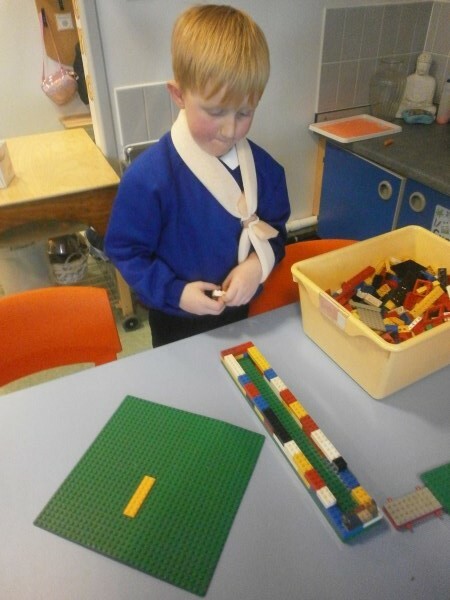 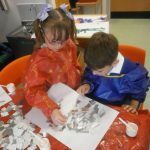 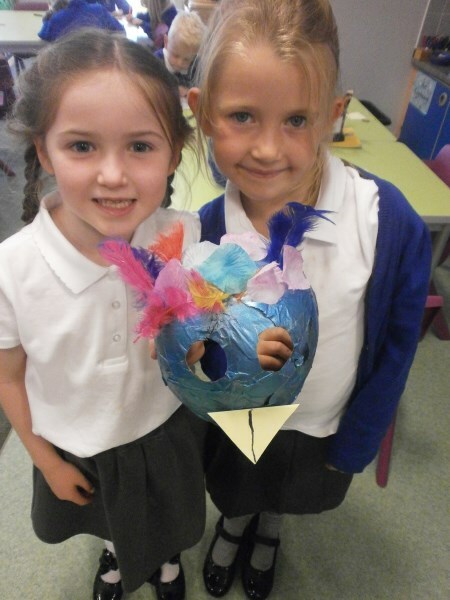 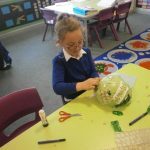 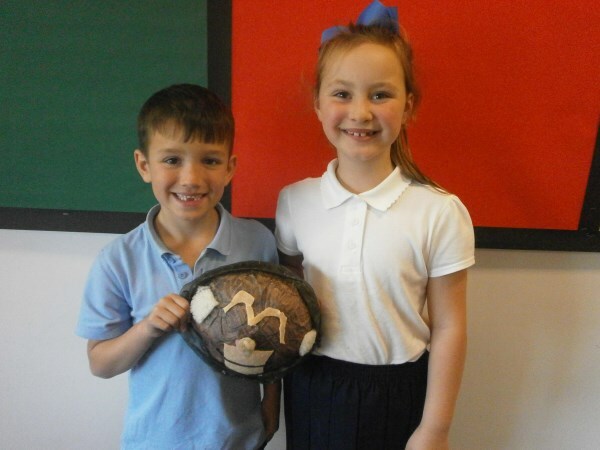 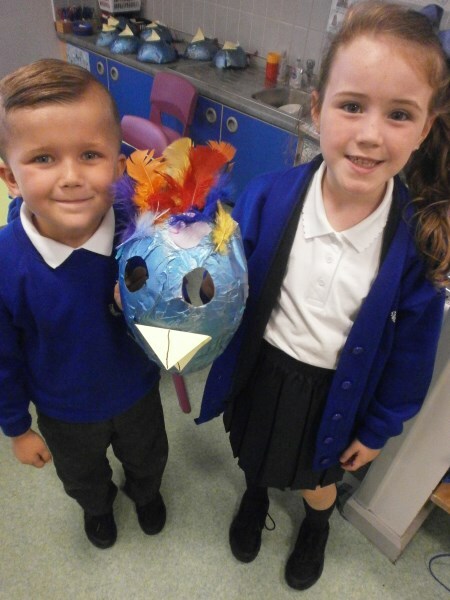 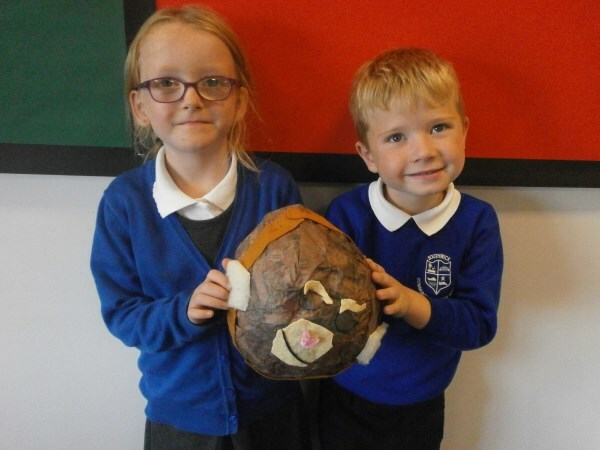 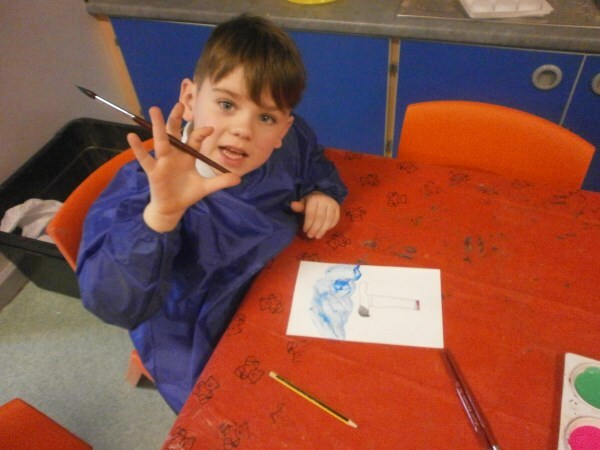 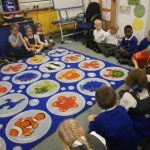 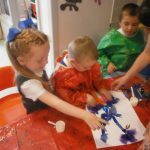 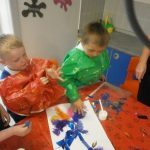 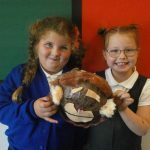 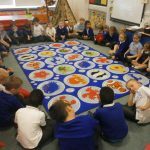 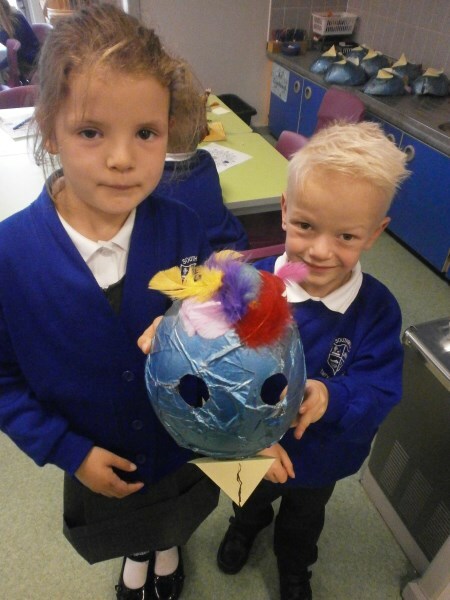 Take a look at our fantastic creations. 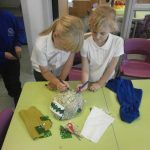 After reading The BFG we created dreamcatchers to keep out bad thoughts and promote good dreams while we are sleeping. 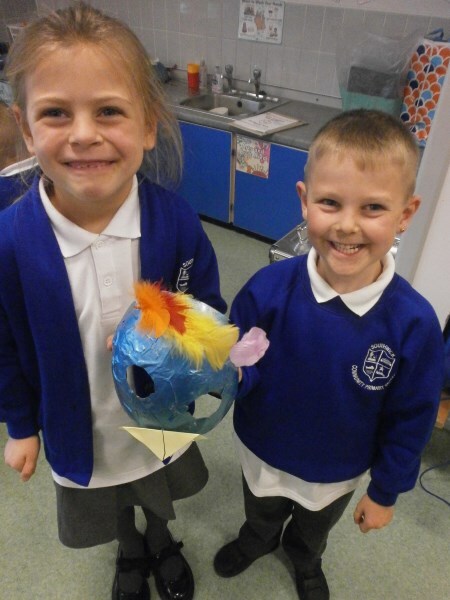 We were very creative in our designs, we hope you like them. 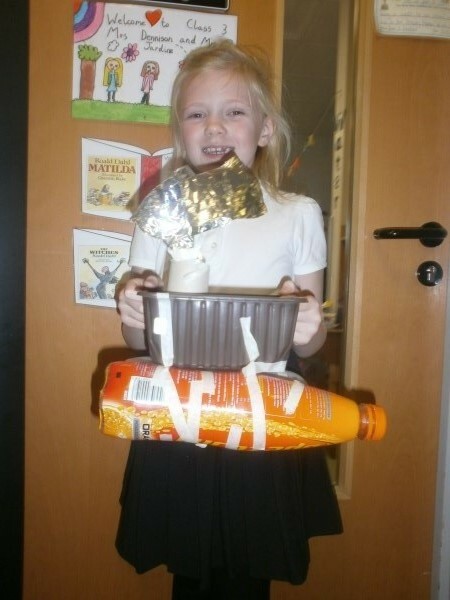 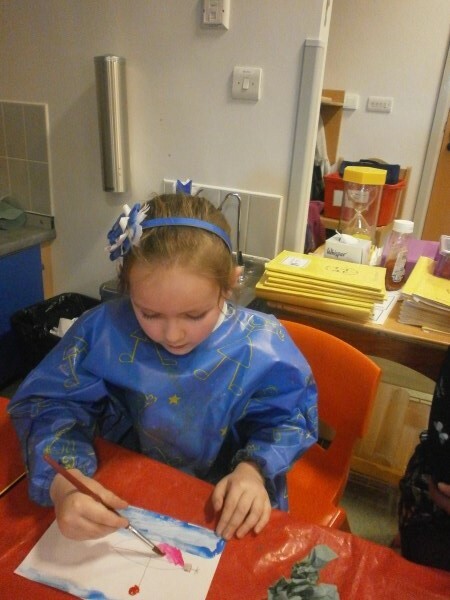 After reading the text ‘George’s Marvelous Medicine’ we designed and created our own medicines. 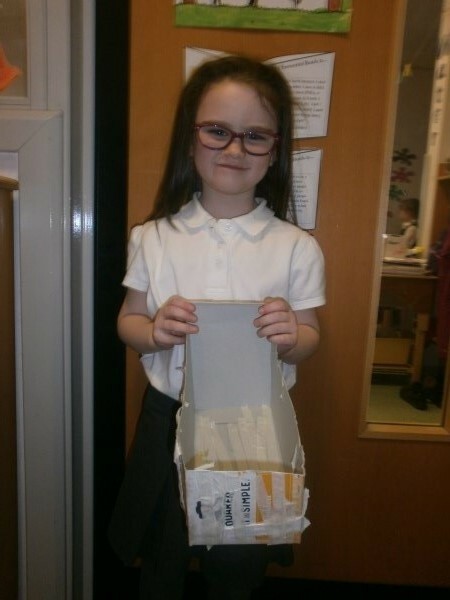 We had freeze medicines, kindness medicines etc. 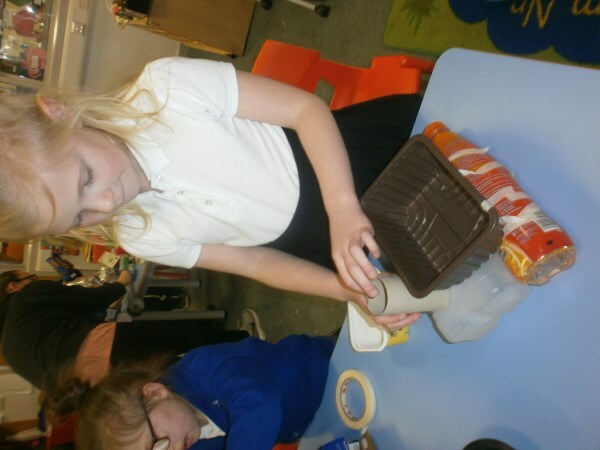 and had lots of fun thinking about purposeful ingredients to include in out creations. 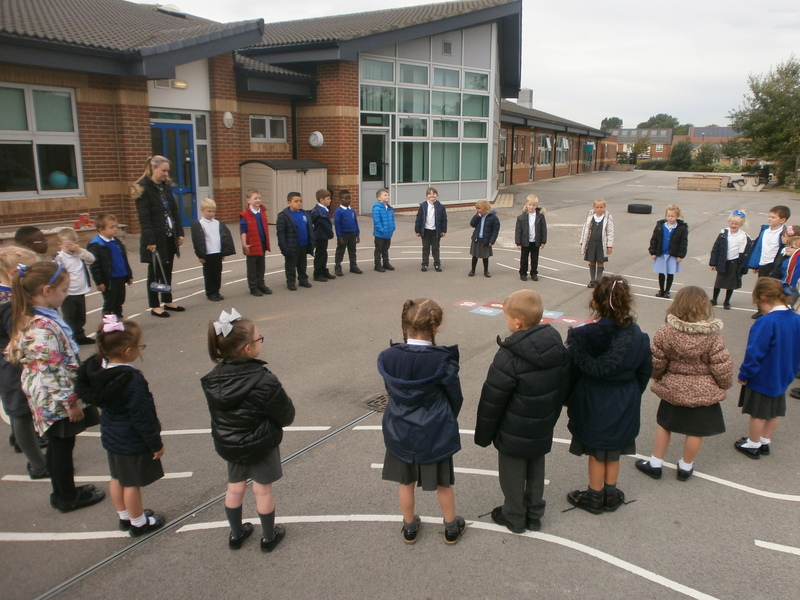 We held a ‘no pens day’ in support of World Mental Health Day raising awareness in how we can support and maintain a healthy mind. 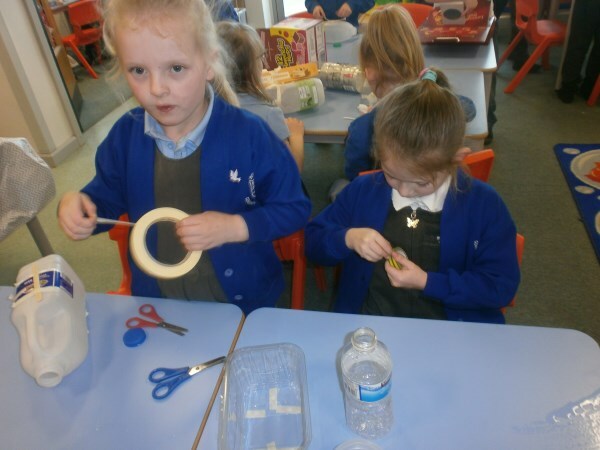 We talked about certain activities we can complete to relax and spend the morning baking a variety of sweet treats to give to friends to spread joy and kindness. 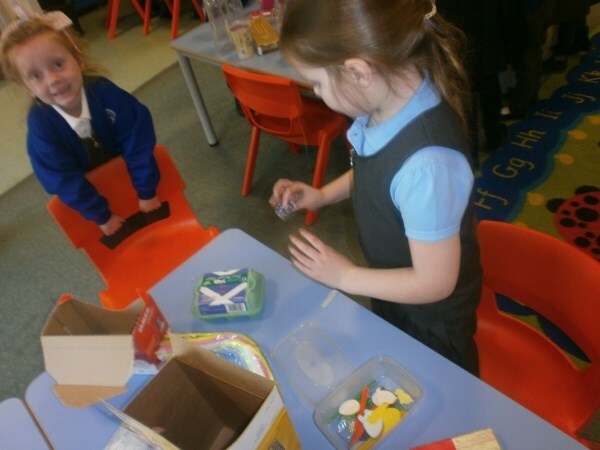 We also created emoji’s using play doh and completed a range of feeling jigsaws expressing and sharing our views about our own emotions. 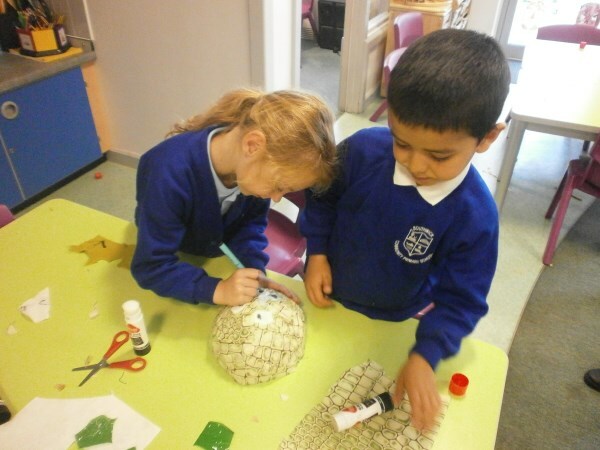 We had a fantastic time today making special Christmas decorations for our adults. 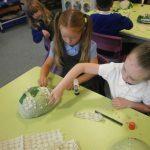 Rose Bub Ceramics came into our school and helped us to make our decorations. 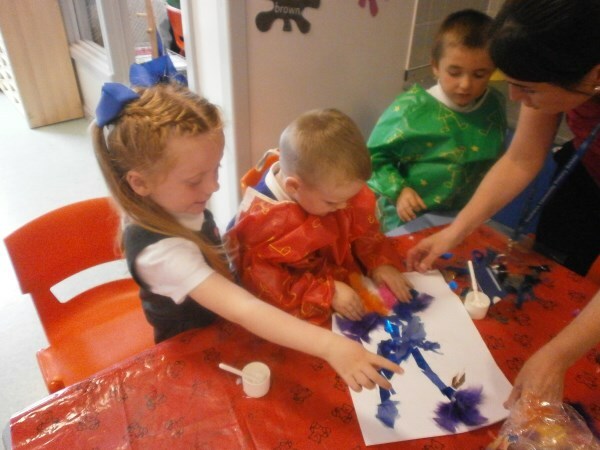 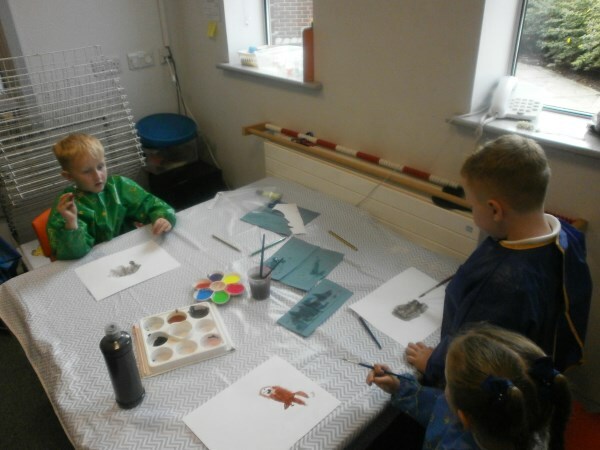 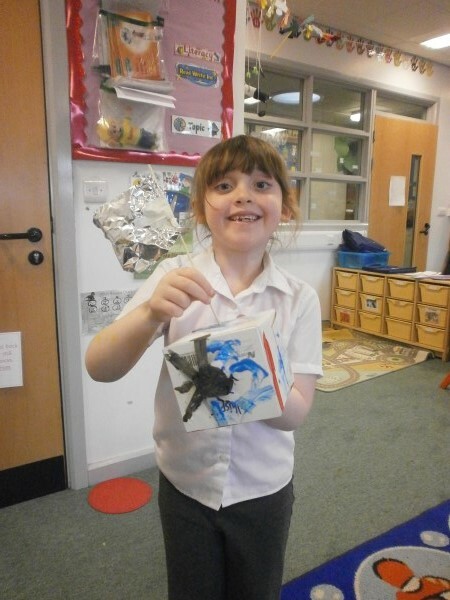 They brought us clay Christmas tree decorations which we painted very carefully using special clay paint. 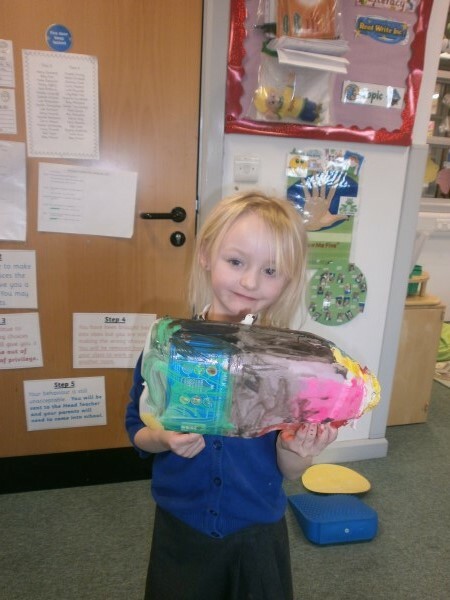 The lady explained step by step which parts we needed to paint and we were amazed at our final product. 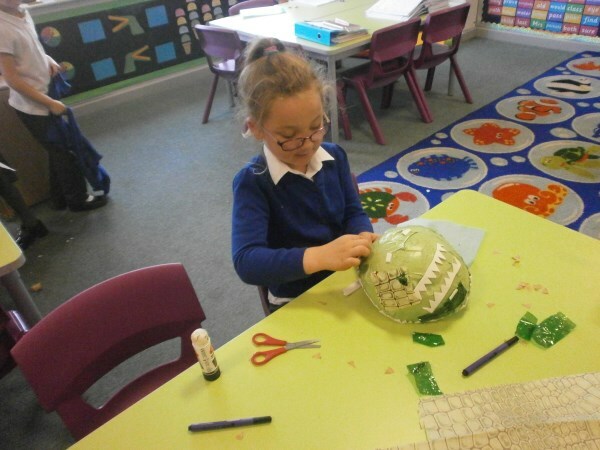 The lady then took our decorations away to be glazed and kilned. 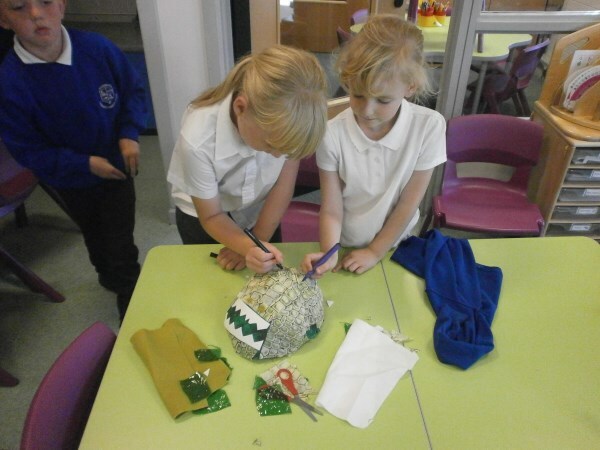 We are so excited to get our decorations back! 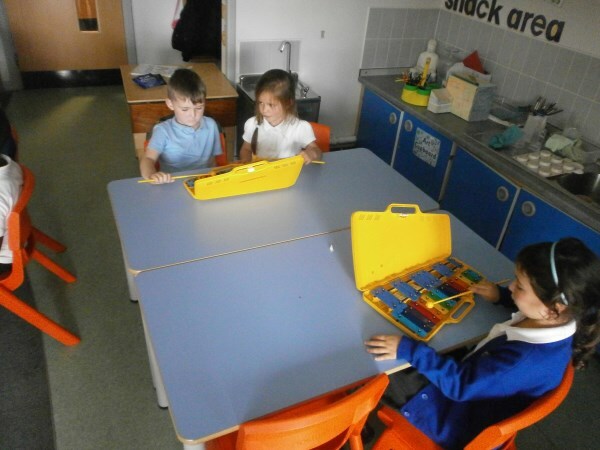 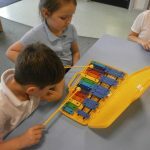 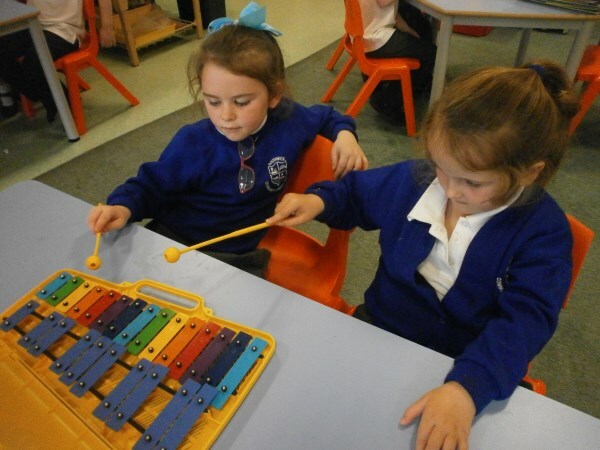 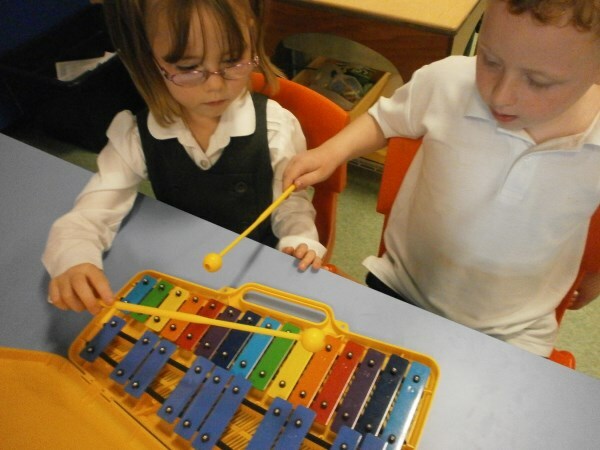 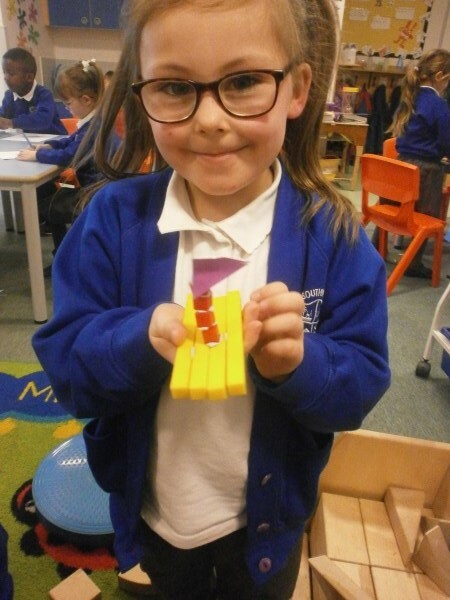 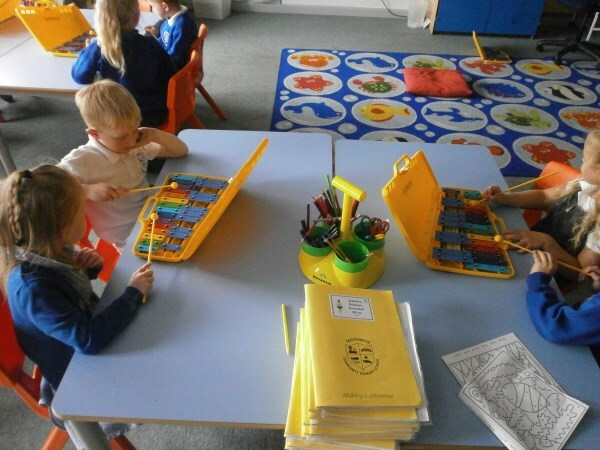 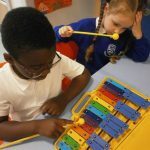 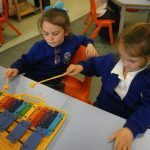 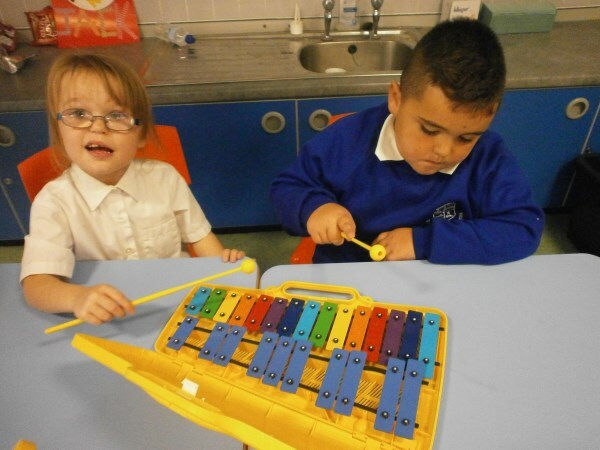 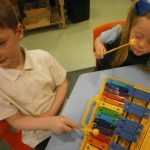 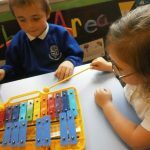 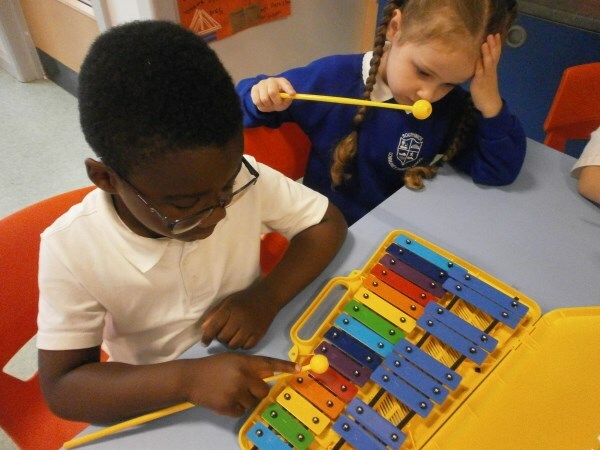 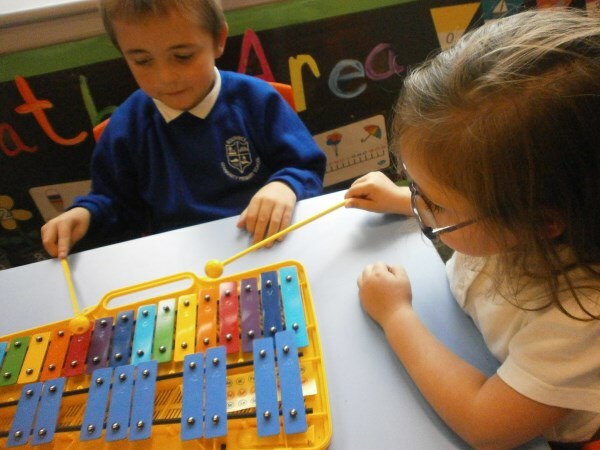 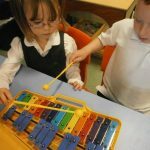 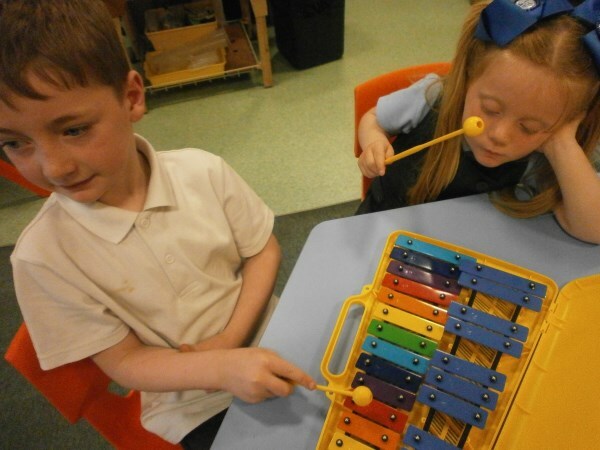 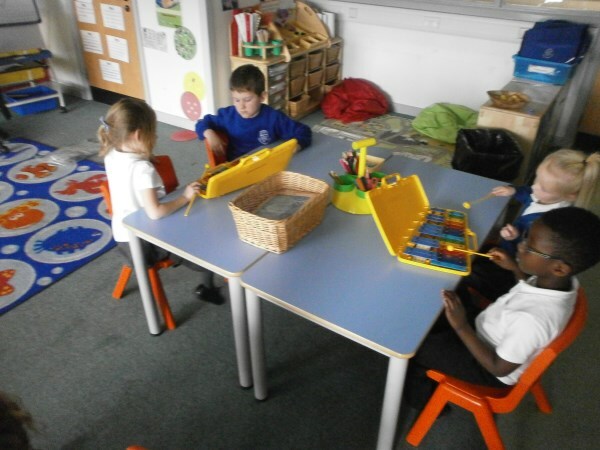 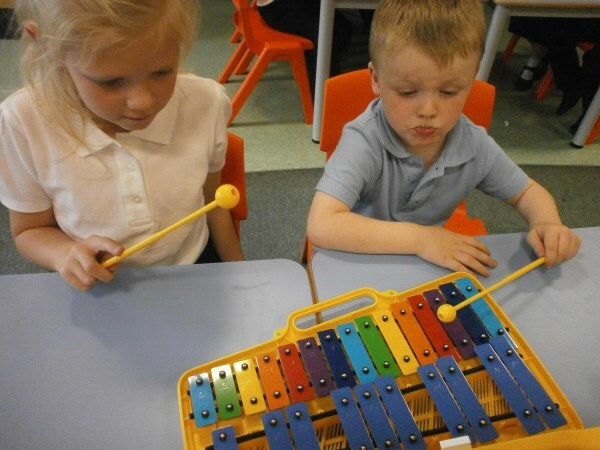 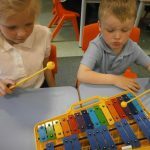 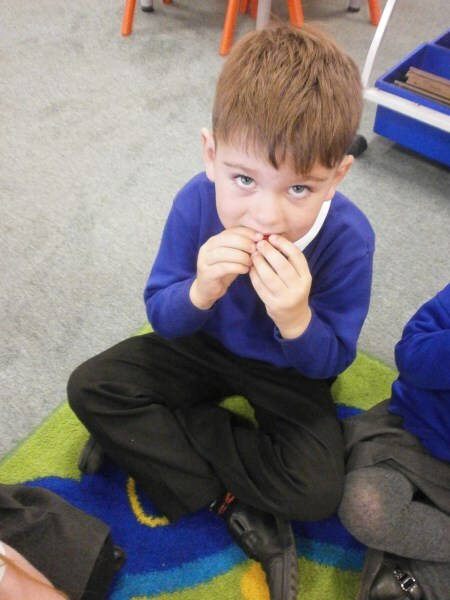 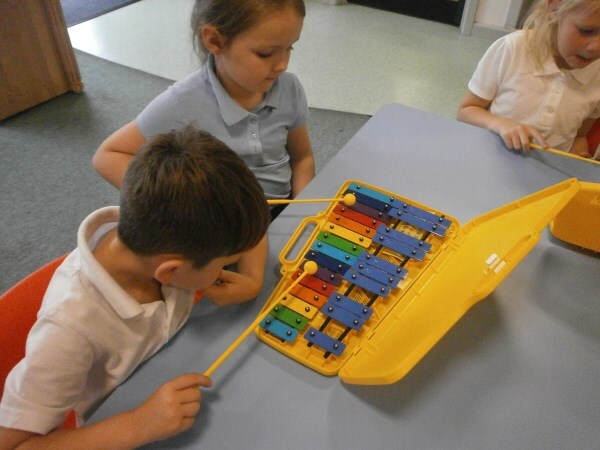 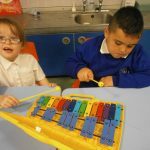 This term we have been using a glockenspiel to create music alongside our song this term- Hey you! 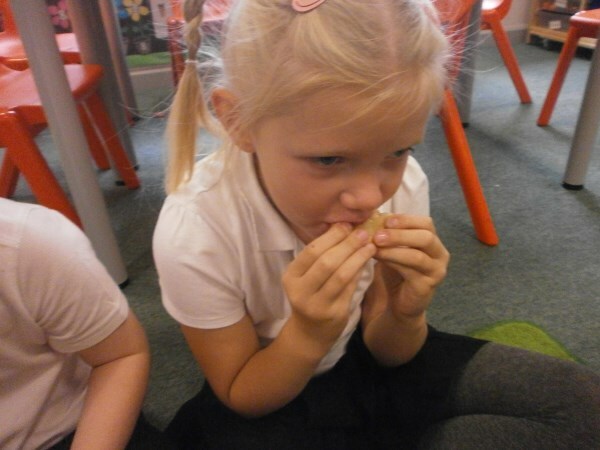 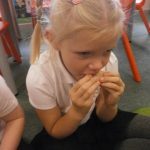 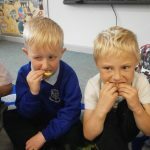 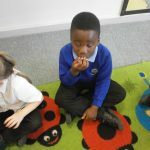 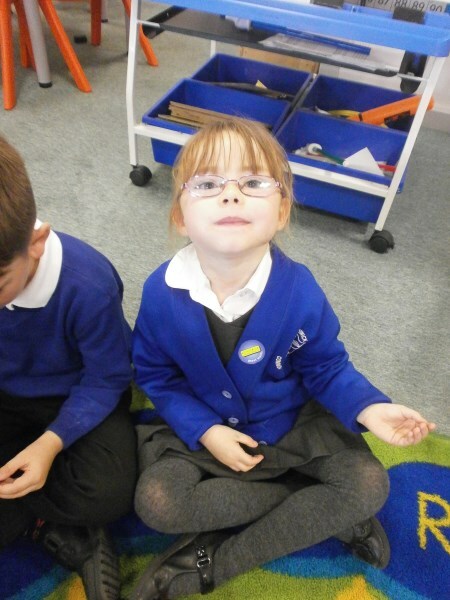 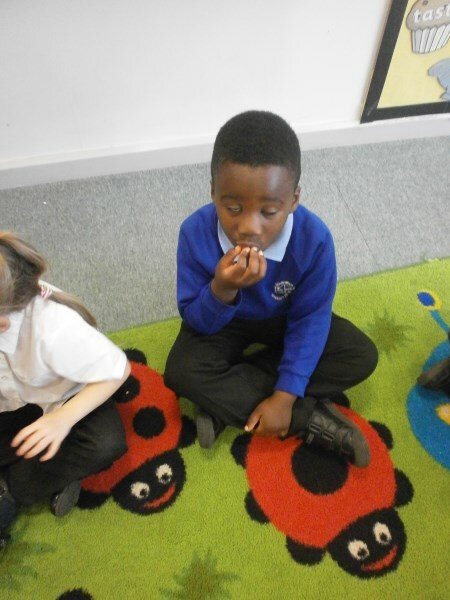 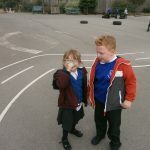 We have been learning all about our 5 senses- smell, taste, hear, see and touch. 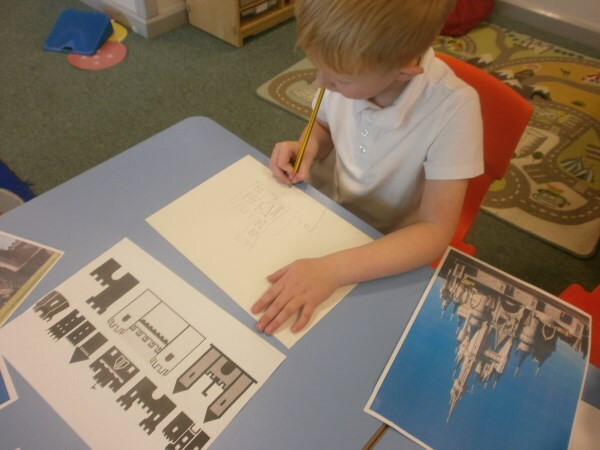 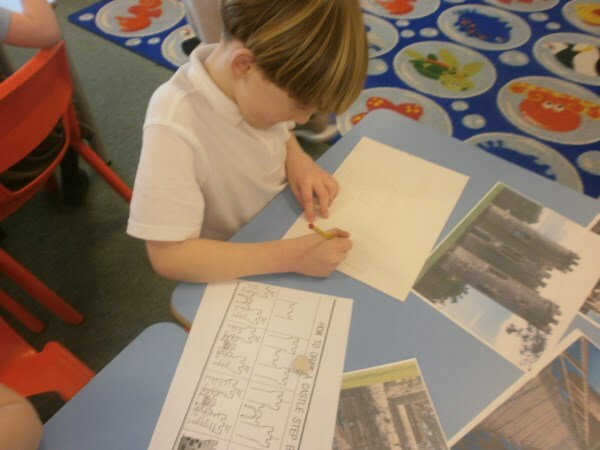 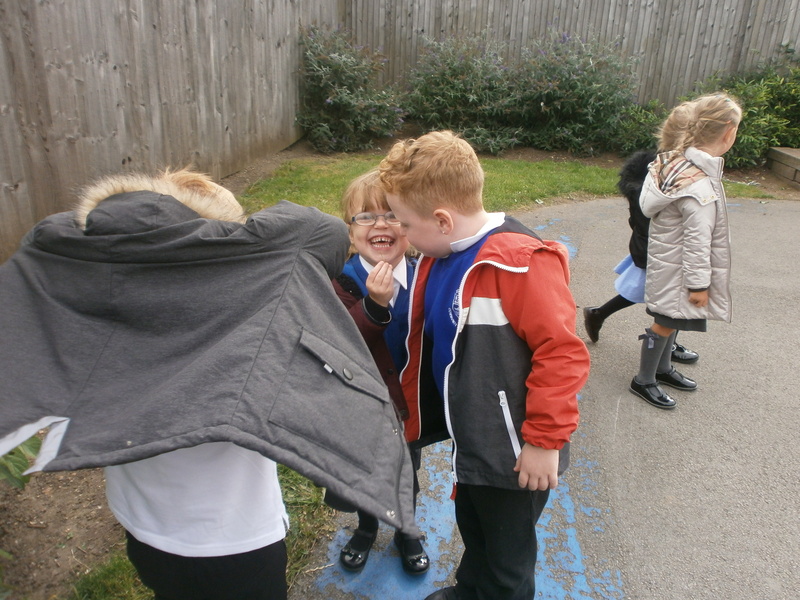 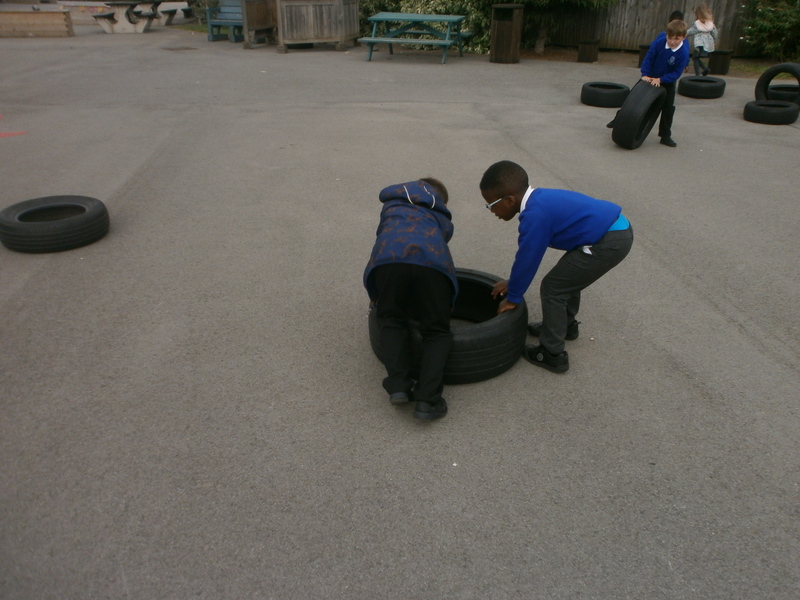 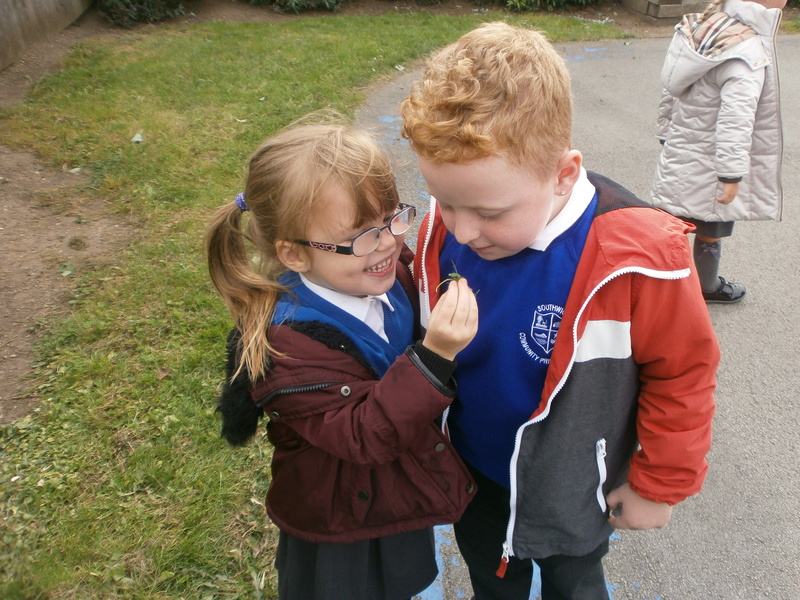 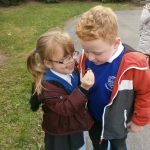 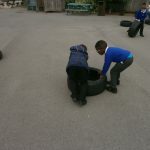 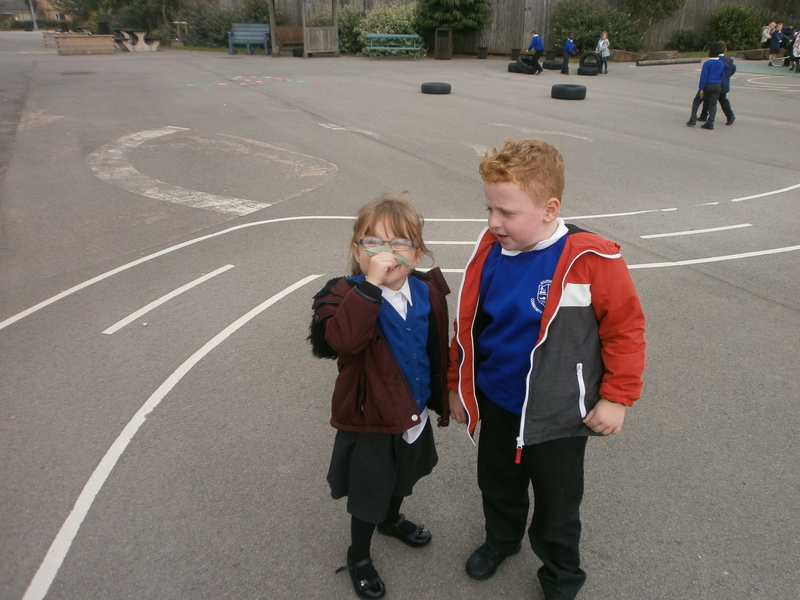 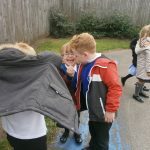 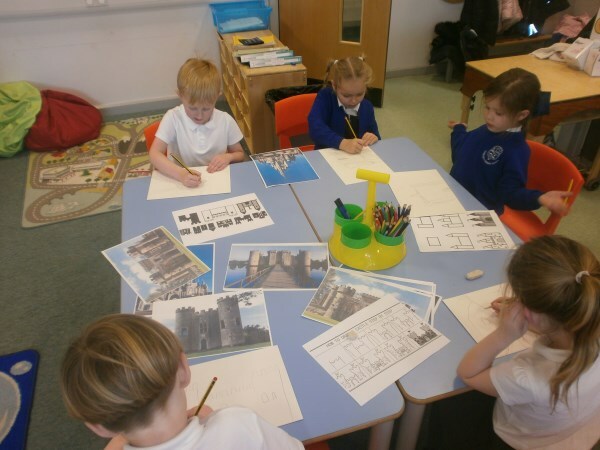 We explored the school looking for things that we used our senses to explore. 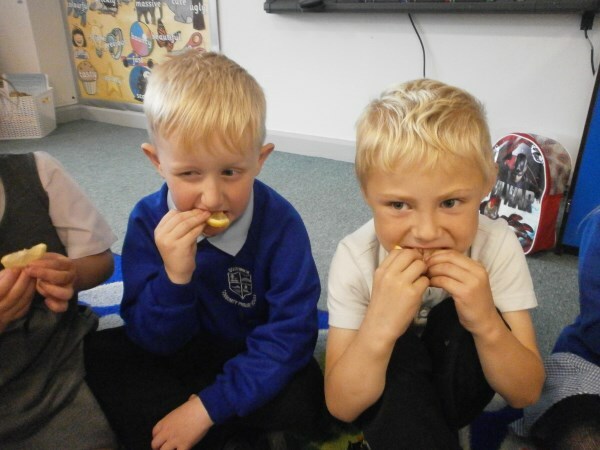 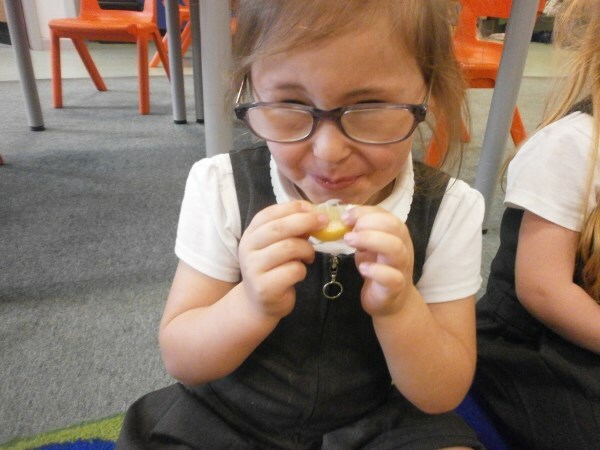 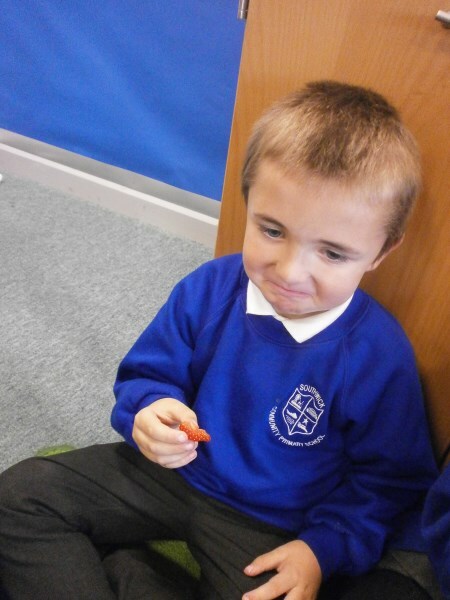 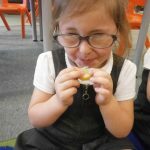 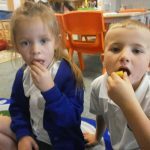 We also had lots of fun tasting different fruits! 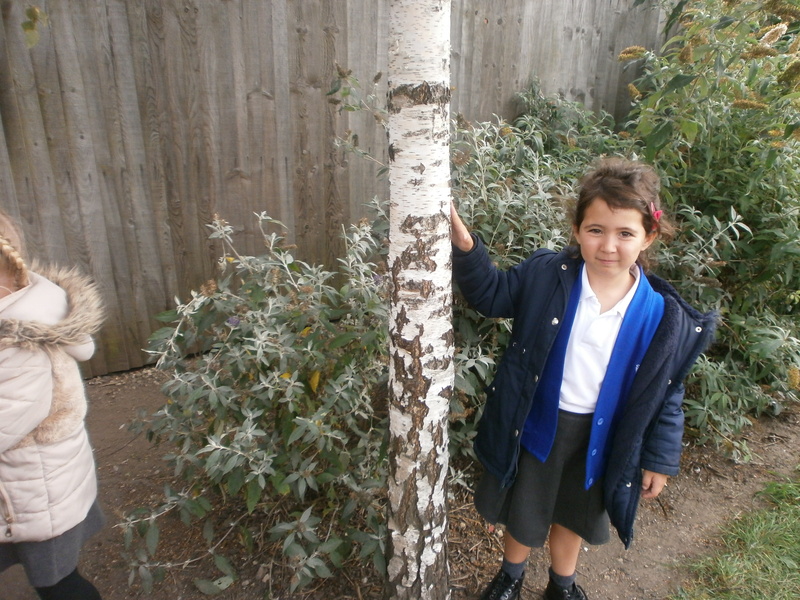 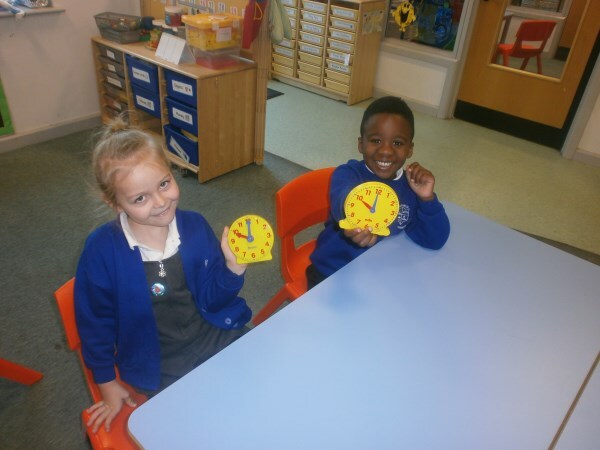 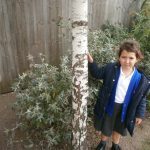 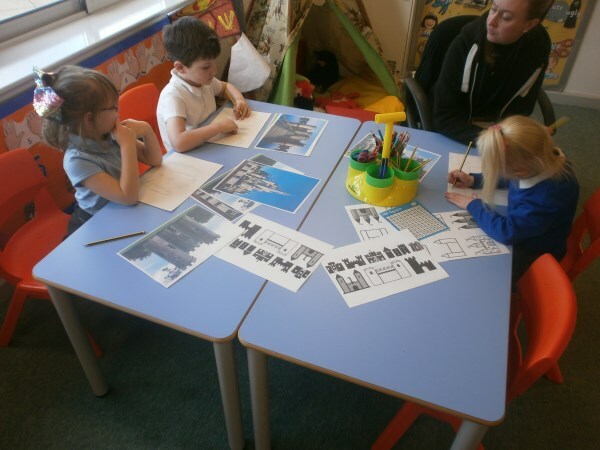 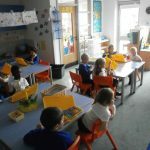 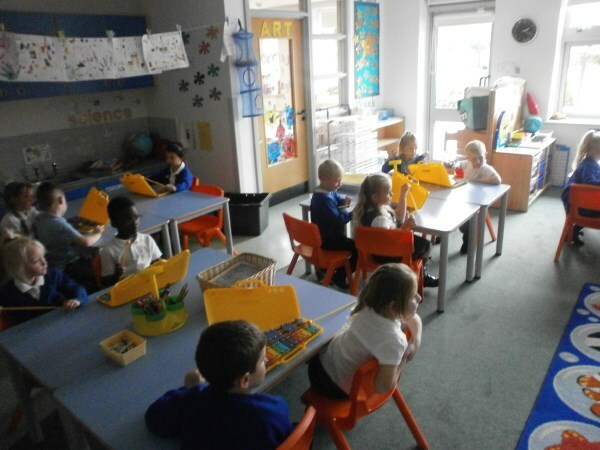 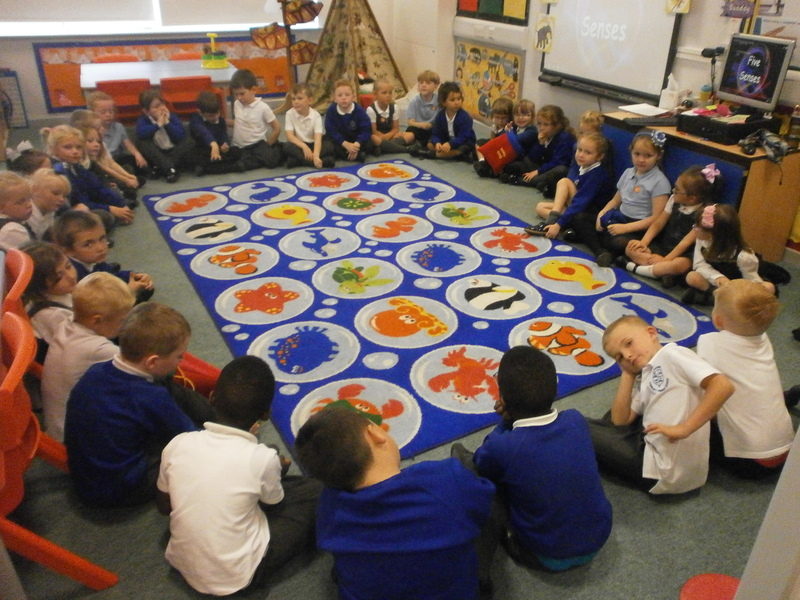 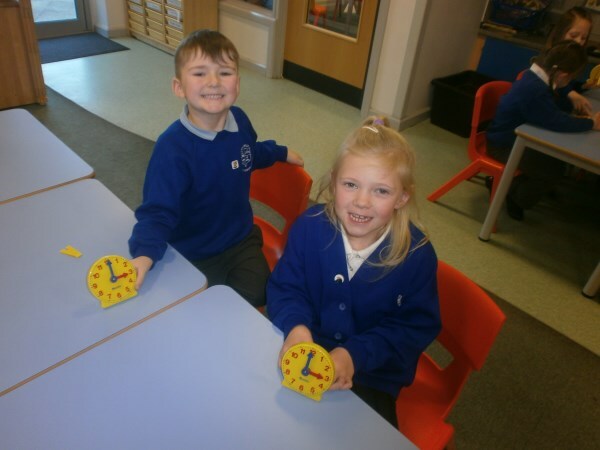 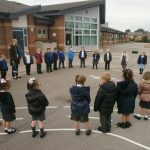 In year 1 we have been talking about and looking at the changes in the Seasons. 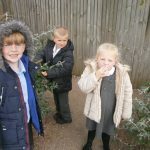 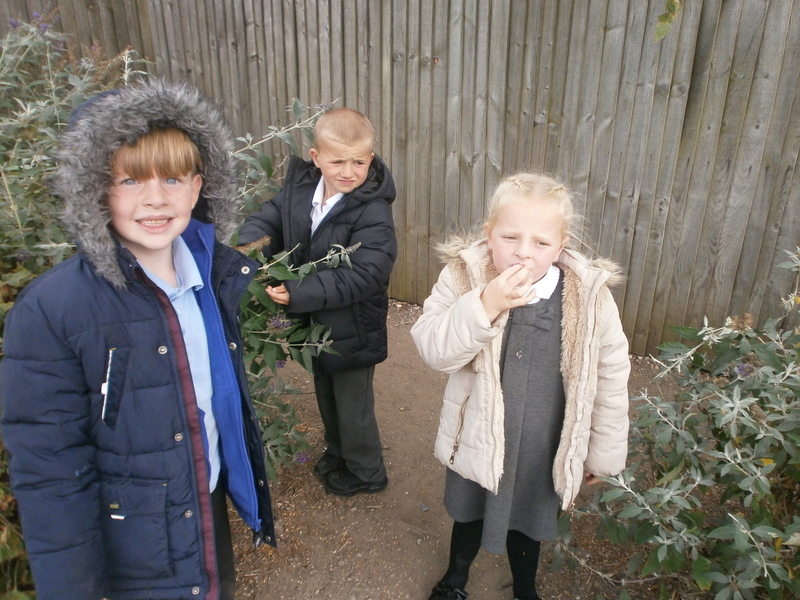 We explored our school ground, looking for colours and the leaves on the trees. 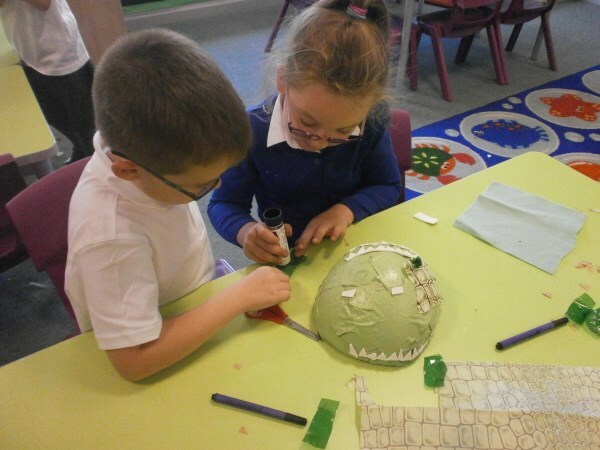 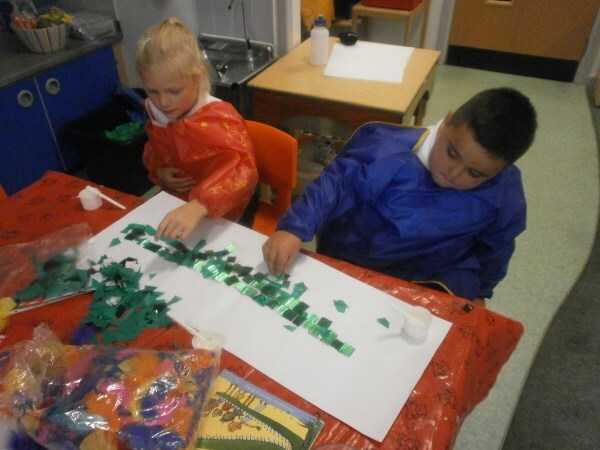 We began Year 1 reading The Enormous Crocodile book and talking about the characters in the story. 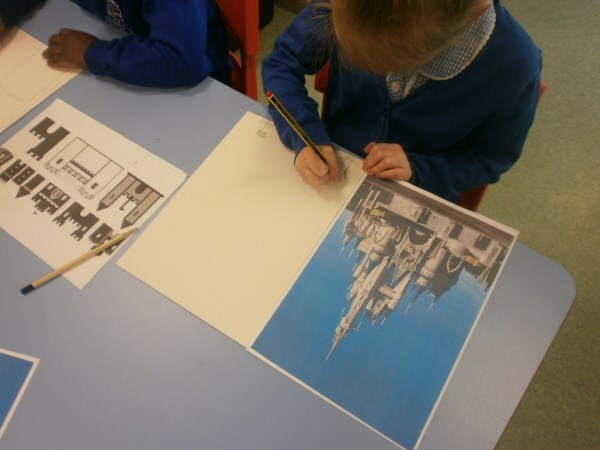 We wrote adjectives to describe them and created some wonderful pieces of artwork of our favourite characters. 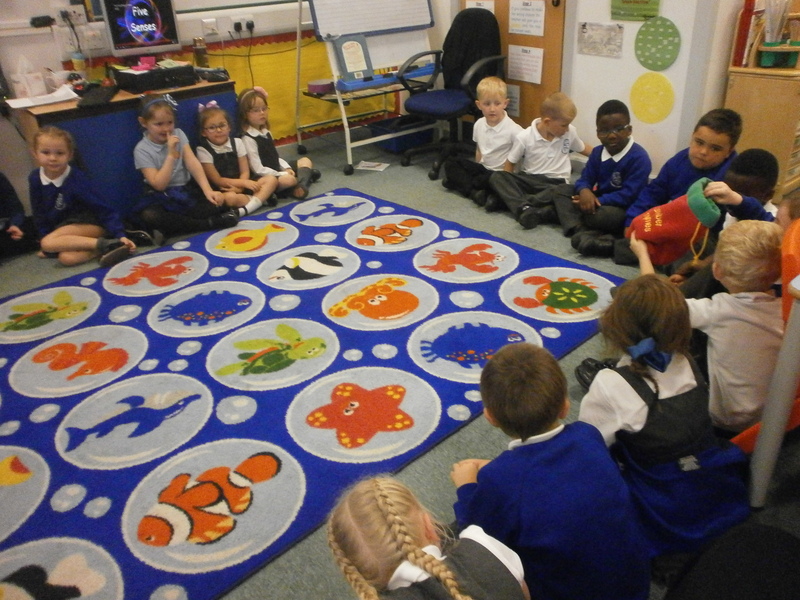 During our study of the story The Enormous Crocodile, we discussed our favourite characters and explained our choices. 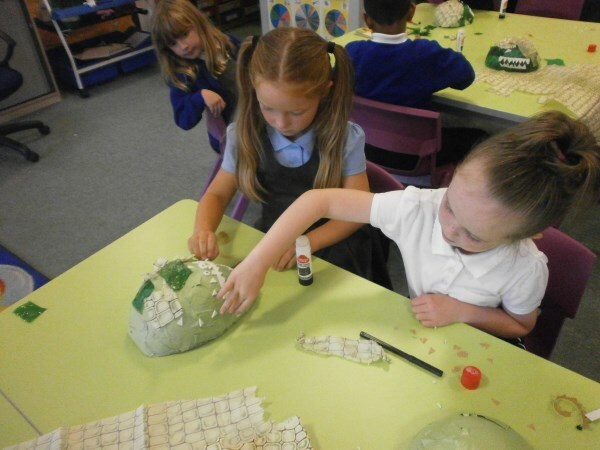 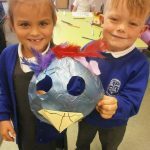 In groups we then designed and created 3D masks using the papier-mâché technique. 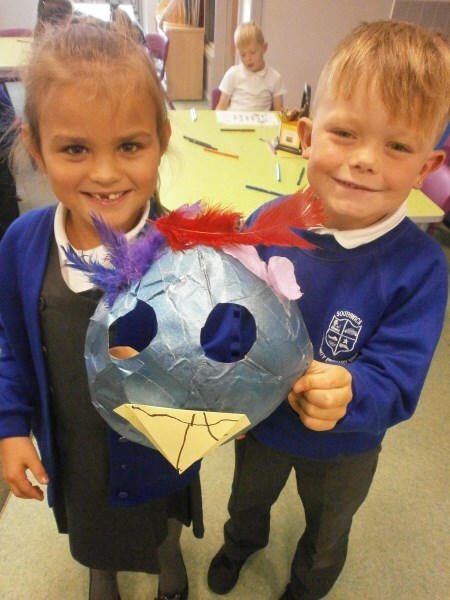 We collaged our masks using a variety of materials and are very proud of our finished products. 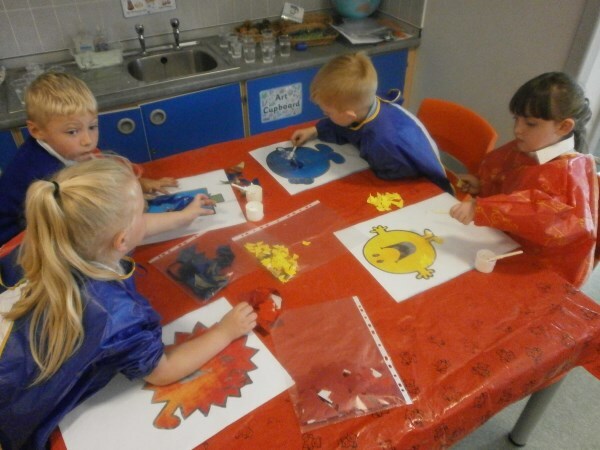 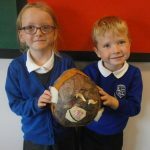 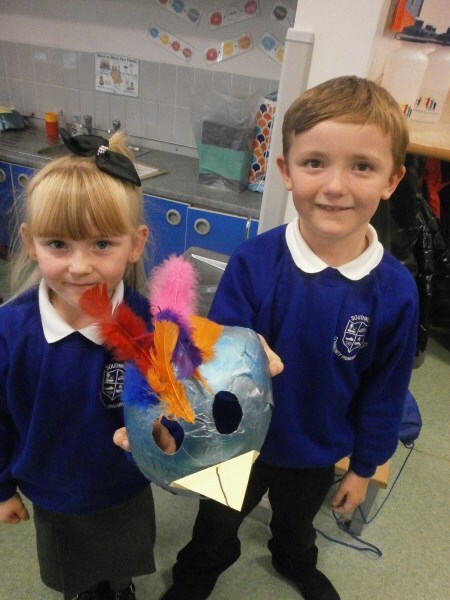 Take a look at our super masks.